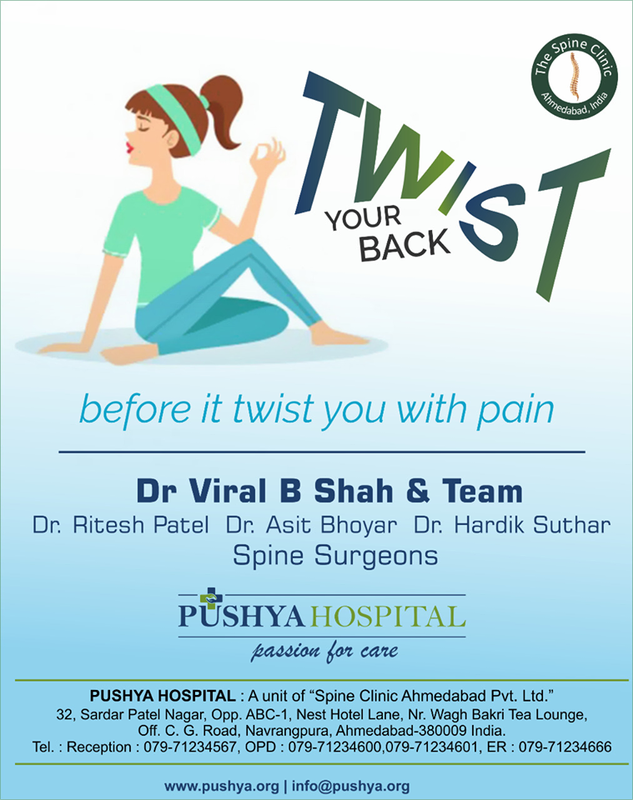 Do not allow back pain to stop you, twisting exercises may help to keep spine pain away. 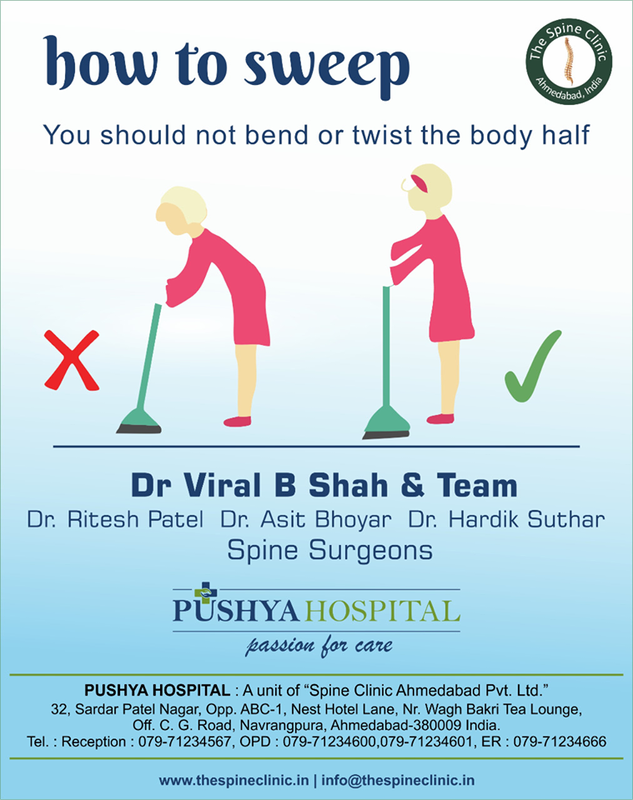 Pass-on the message with your dear ones. 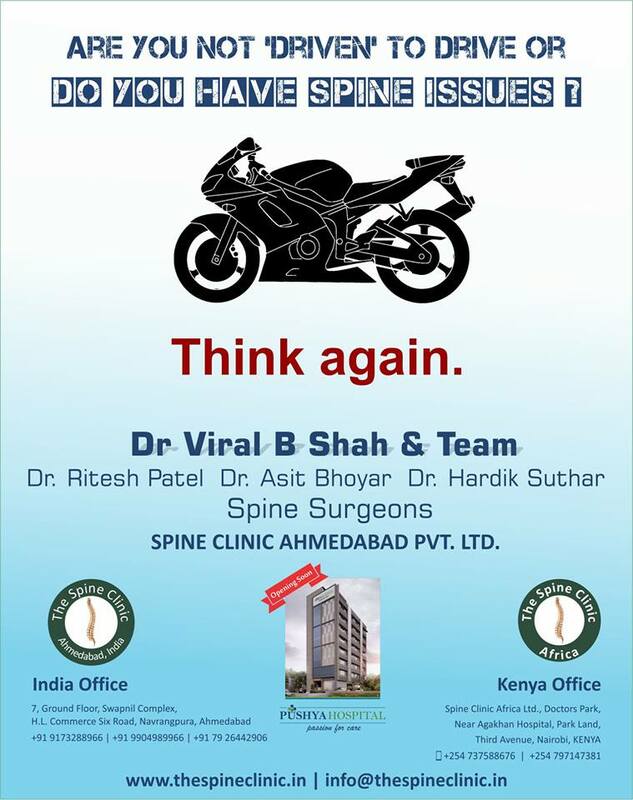 Visit The Spine Clinic for all Spine problems and surgeries. 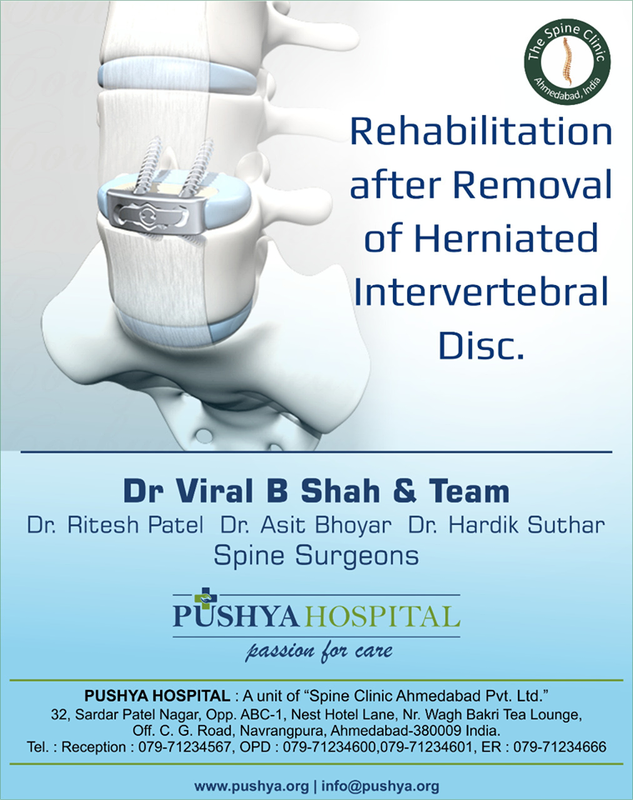 By Microdiscectomy surgery, portions of Herniated disc is removed, it works to liberate pressure on spinal nerve column. 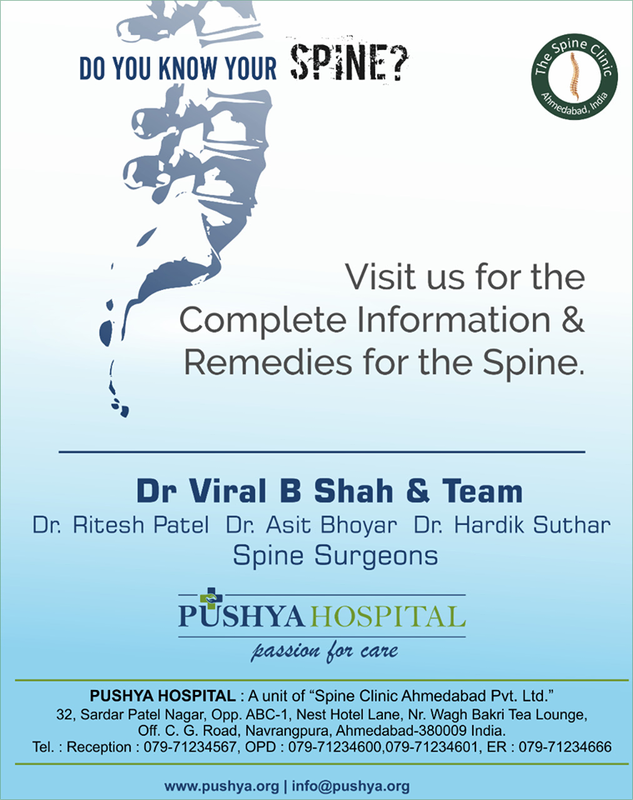 Visit The Spine Clinic for all Spine problems and surgeries. 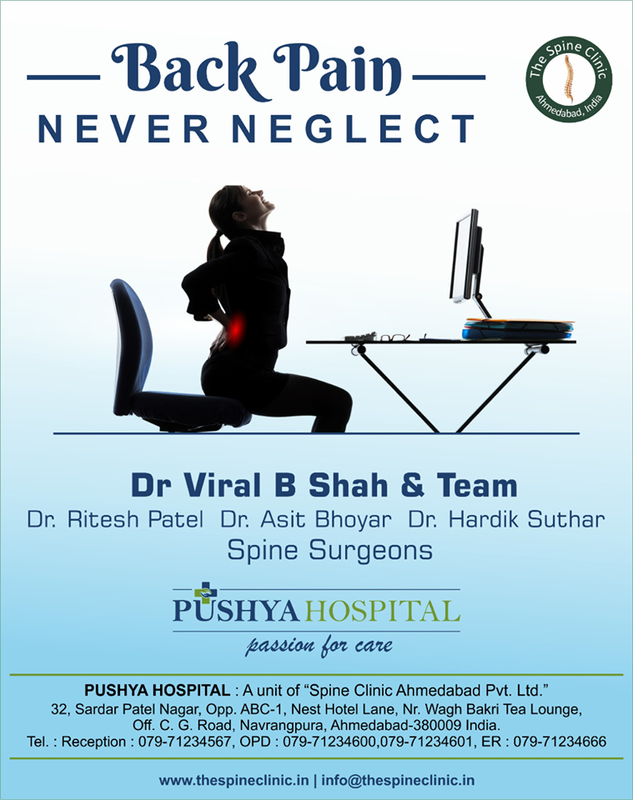 Leave your all back problems in our care at The Spine Clinic , Navrangpura. 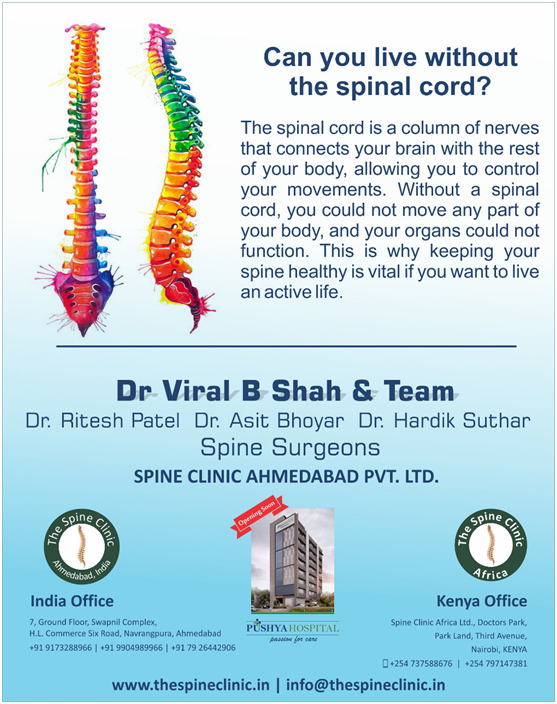 Do not allow back pain to affect your life, live free.. live active with us at The Spine Clinic. 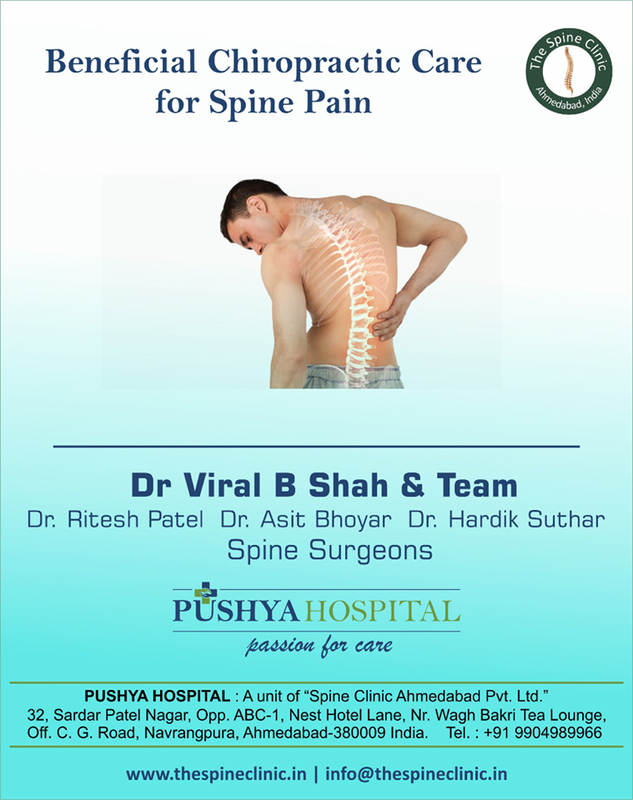 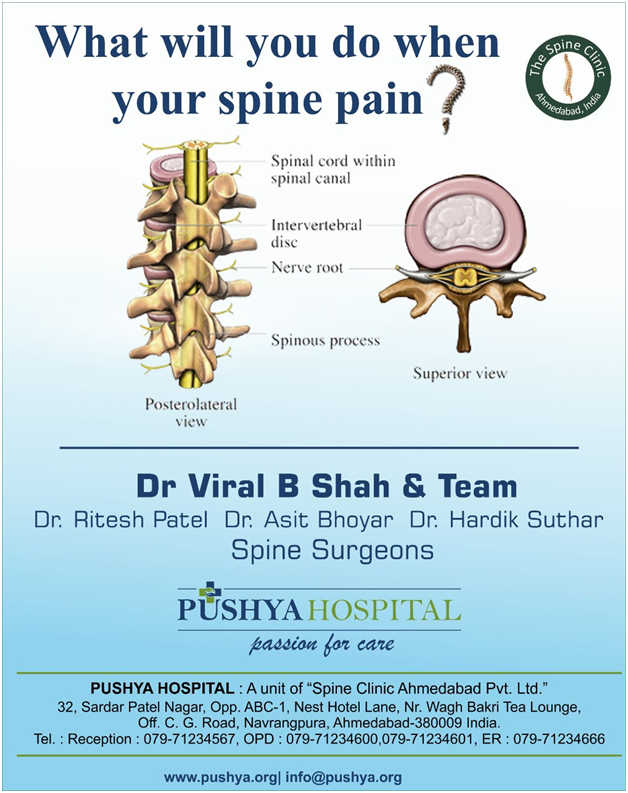 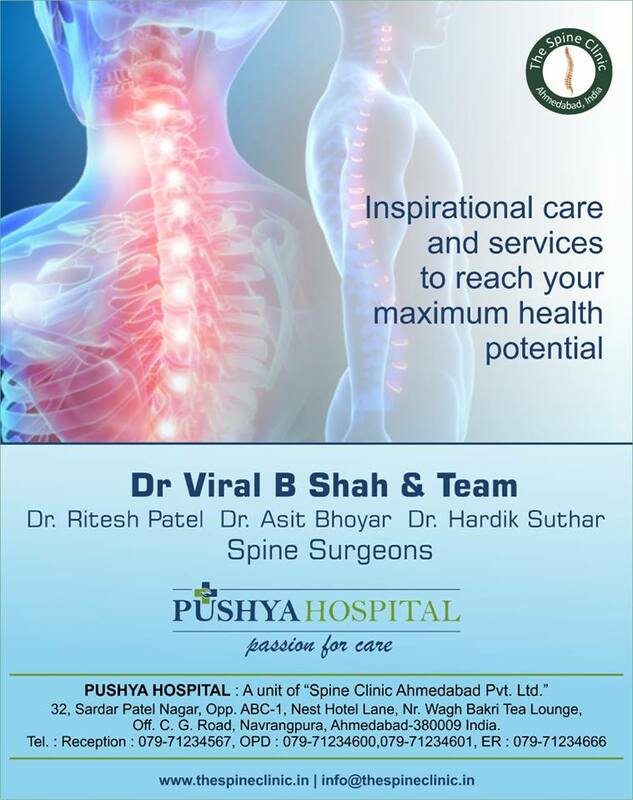 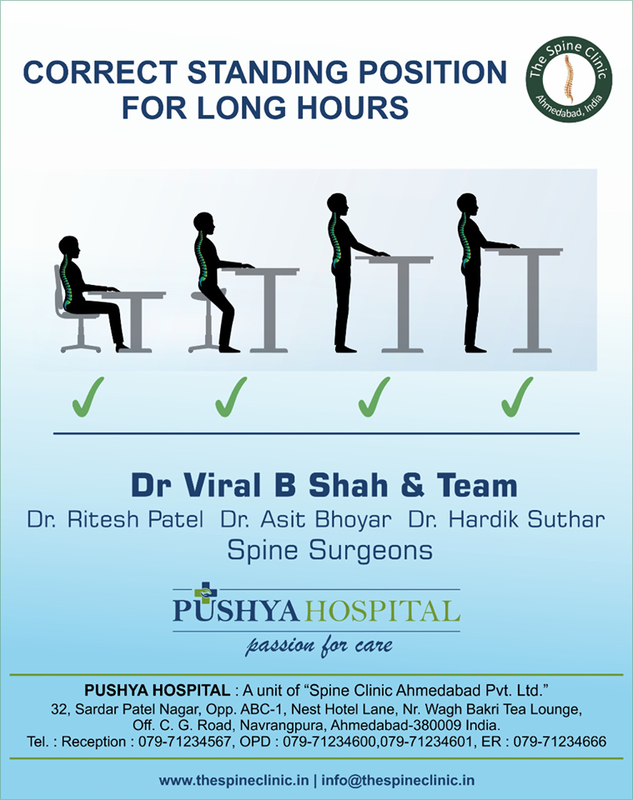 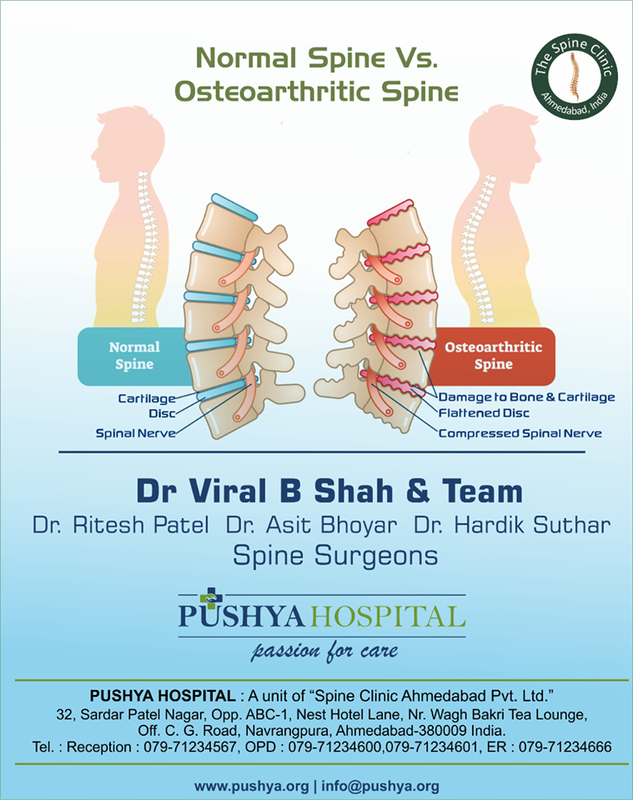 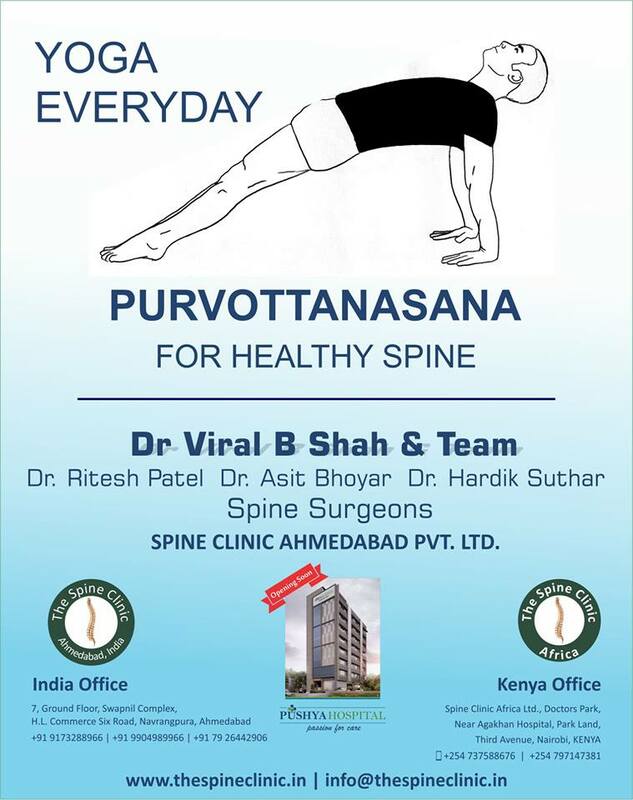 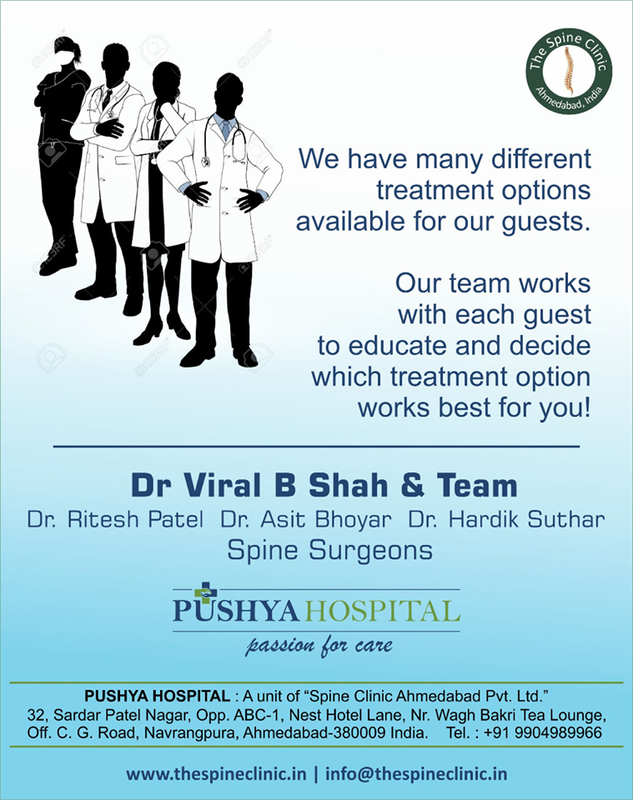 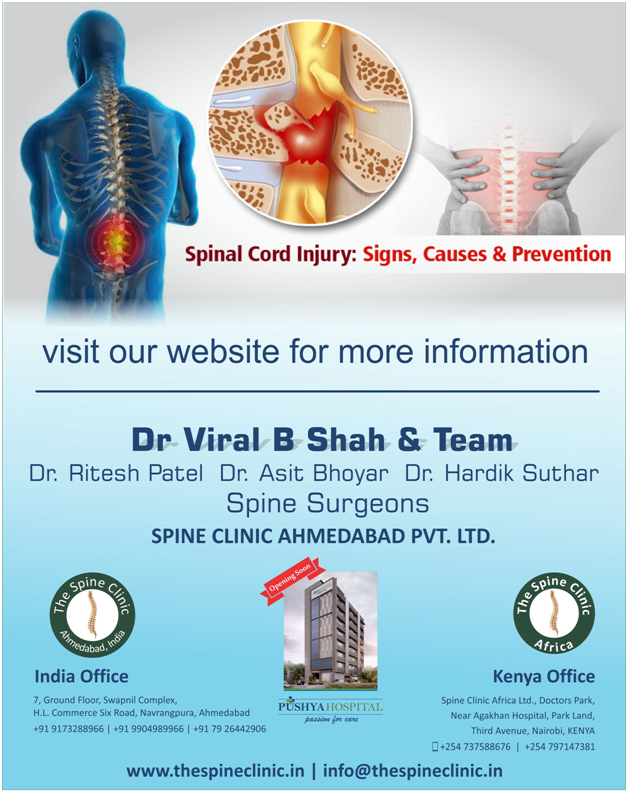 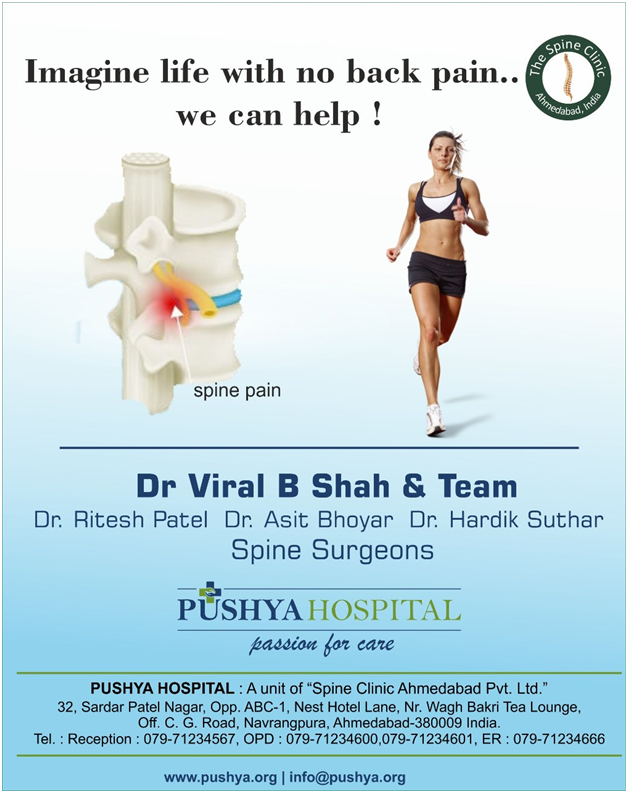 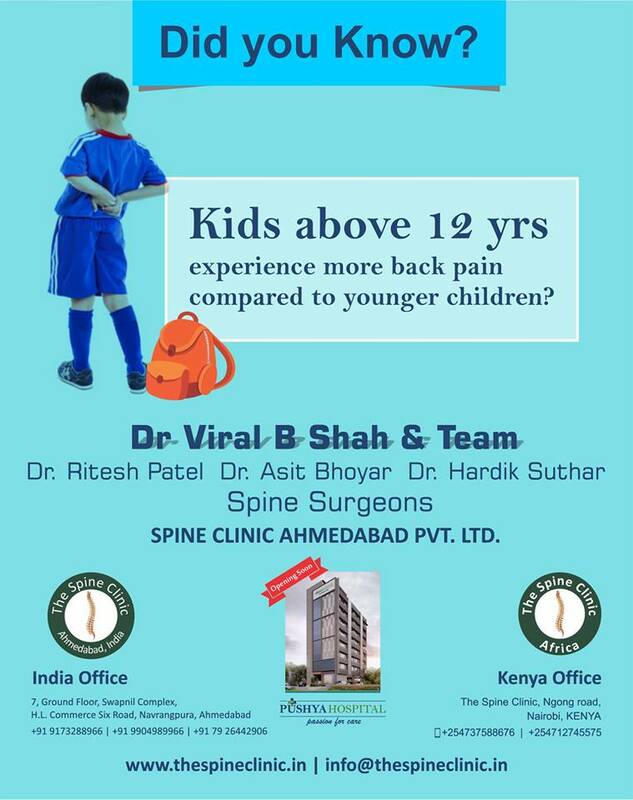 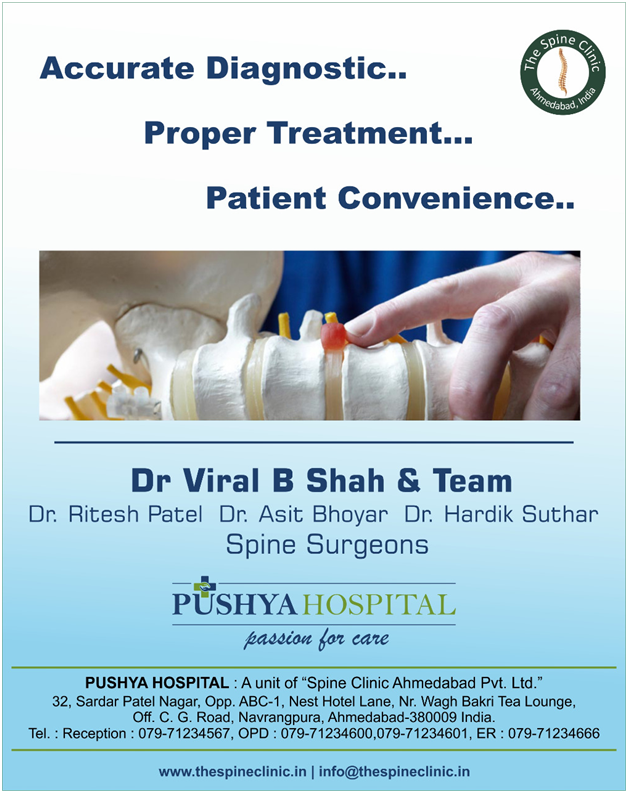 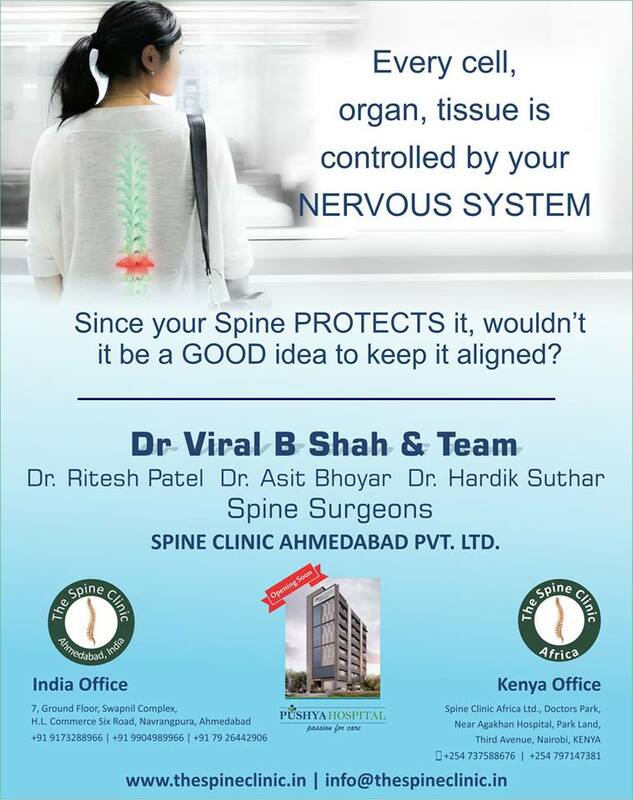 Visit The Spine Clinic at Navrangpura, Ahmedabad. 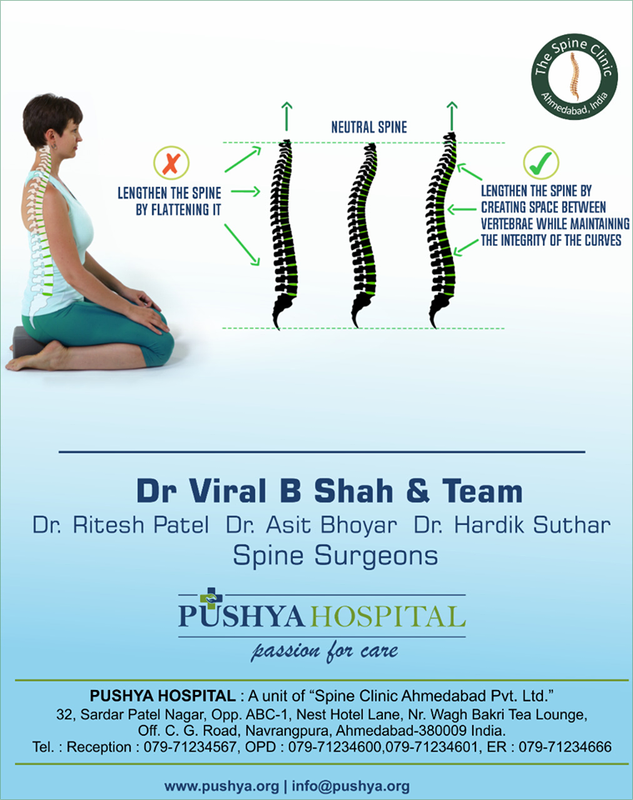 Do not let your spine suffer too much, spine is a complex structure in the human body, so needs extra care too. 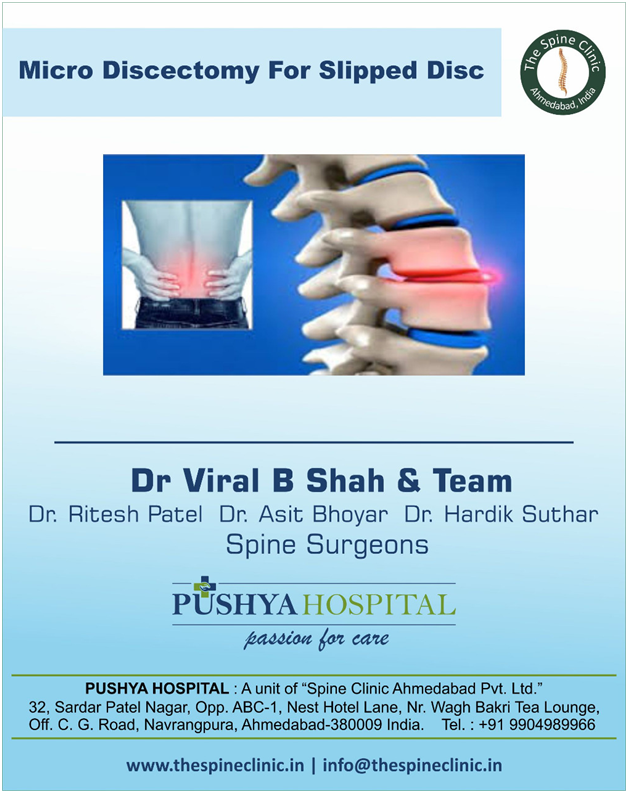 Leave behind every spine problems with The Spine Clinic at Ahmedabad. 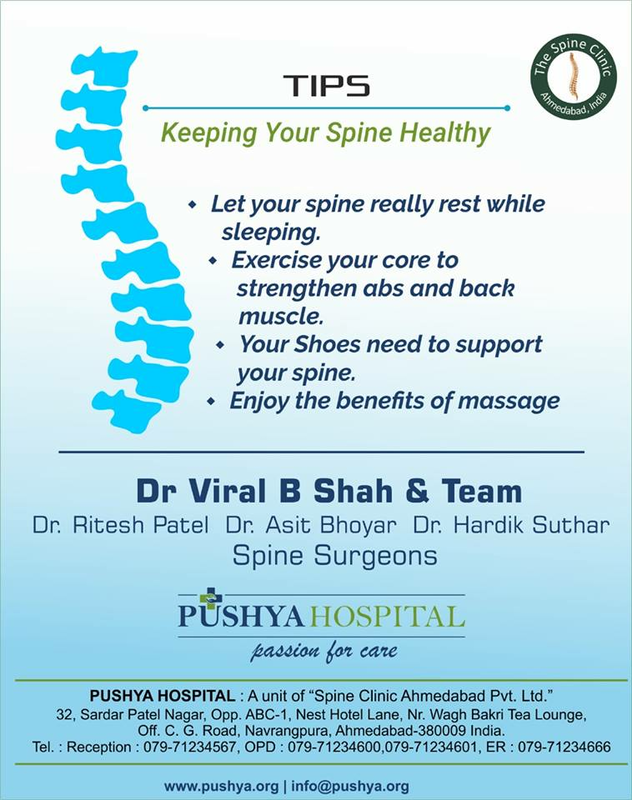 You may increase neck, shoulder or back pain because of your sleeping position. 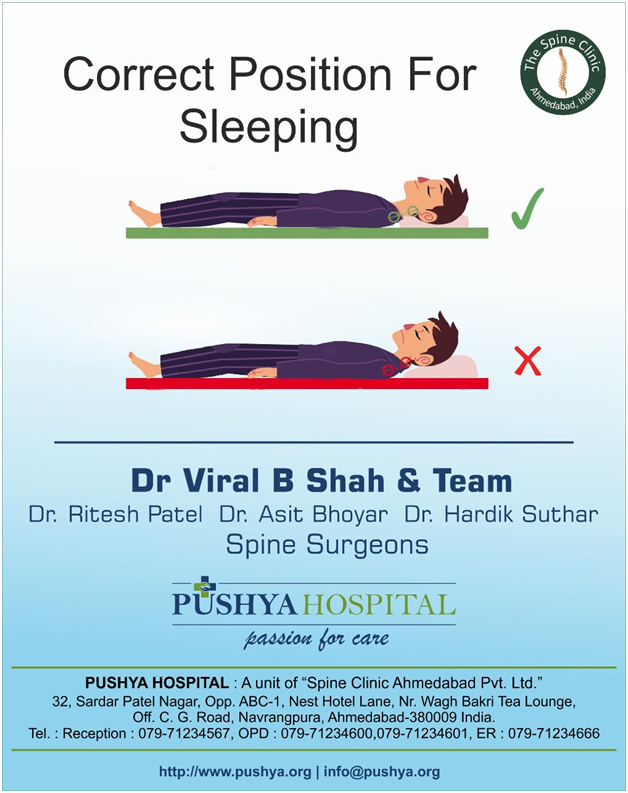 Right sleeping position may help to get rid of several kinds of problems. 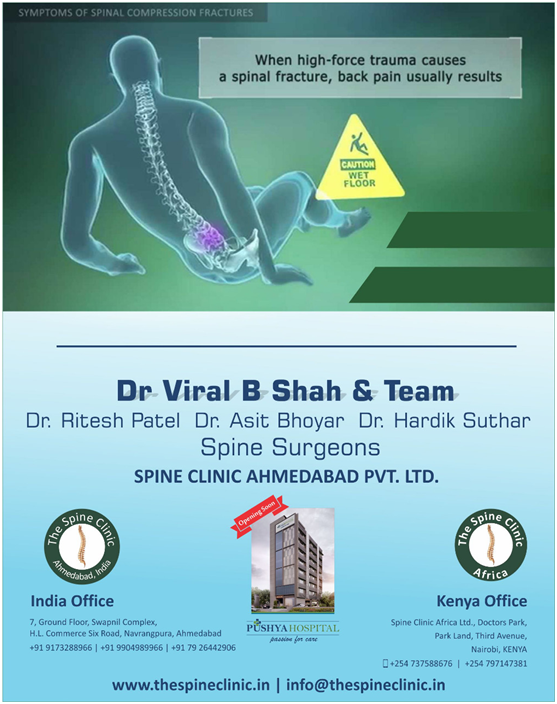 Be pain-free with The Spine Clinic at Ahmedabad. 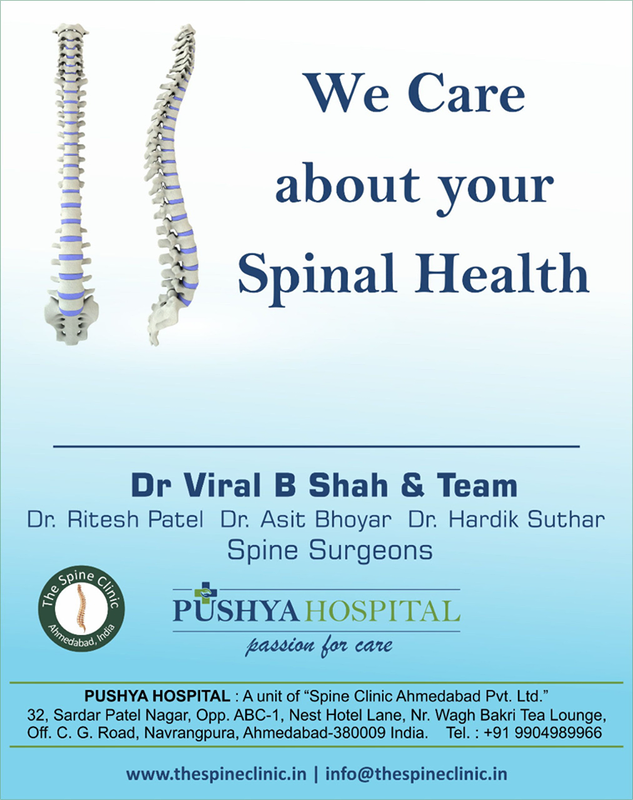 Our spine is a straight structure, but in some people, it looks curved. 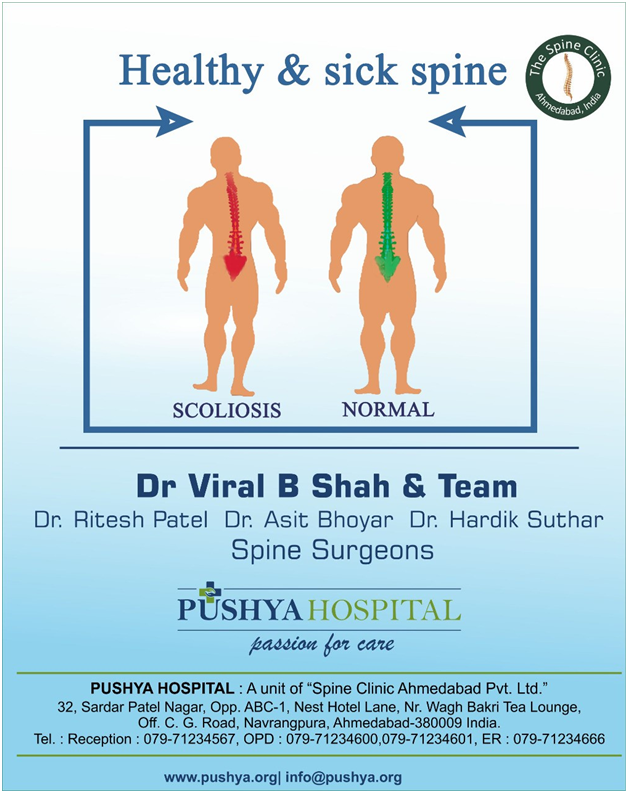 Find your Scoliosis spine solutions with us at The Spine Clinic, Ahmedabad. 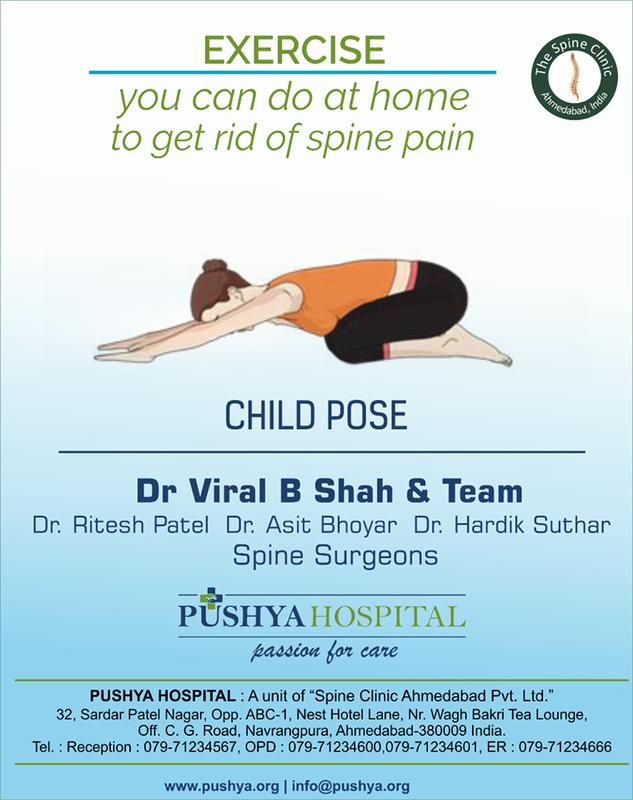 Forget your back pain with Physiotherapy Exercises. 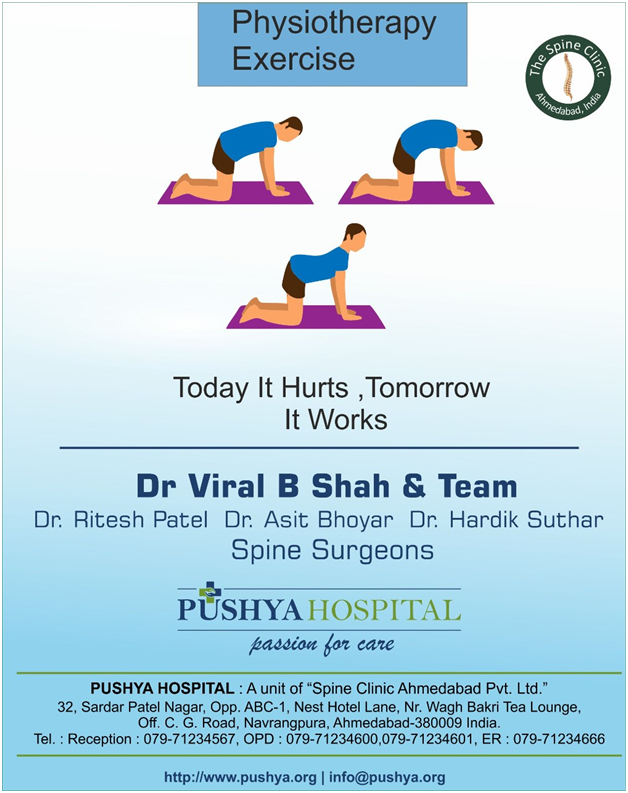 Physiotherapy exercises are well accepted to end any kind of back pain. 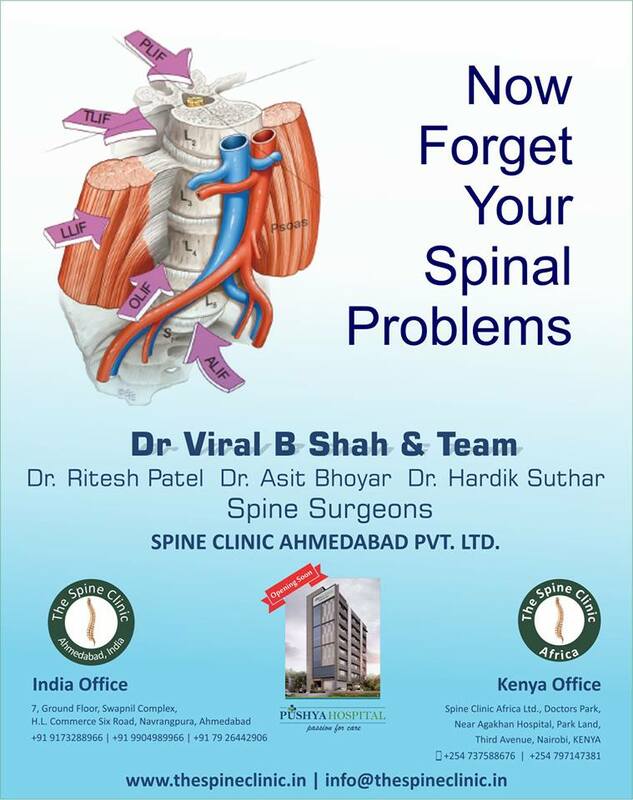 Forget your back problems with The Spine Clinic at Ahmedabad. 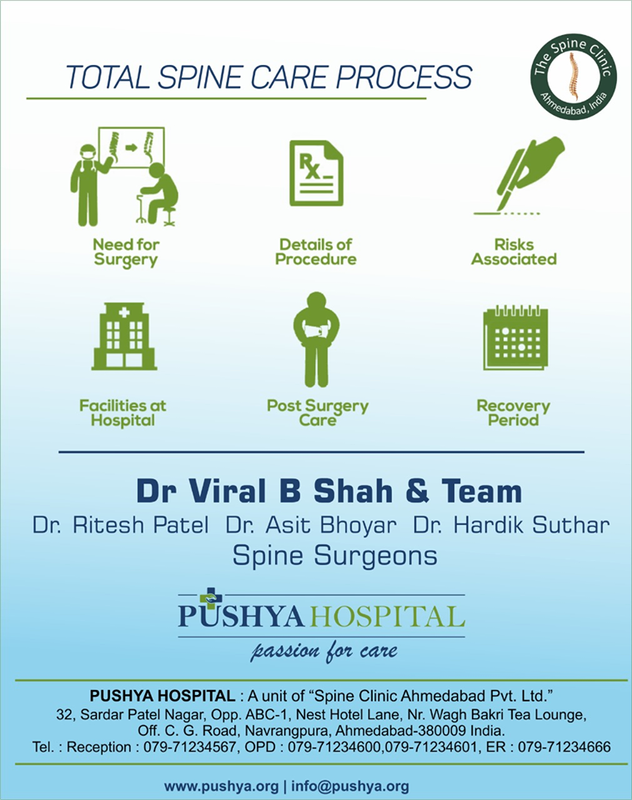 Healthcare is advancing at a fast pace. 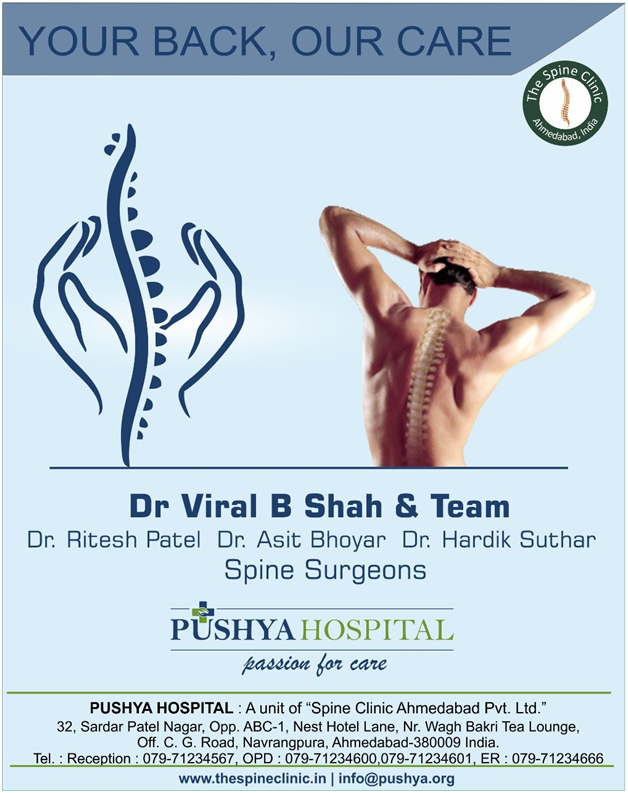 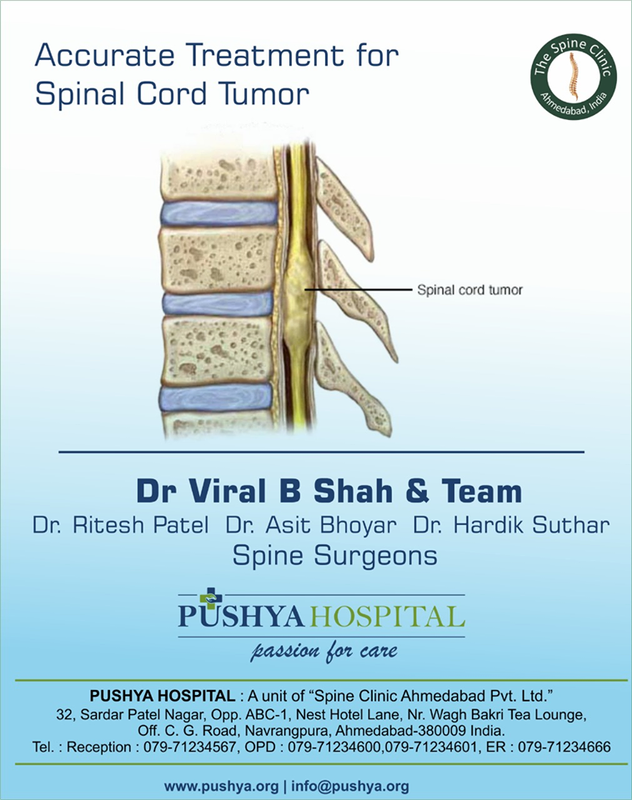 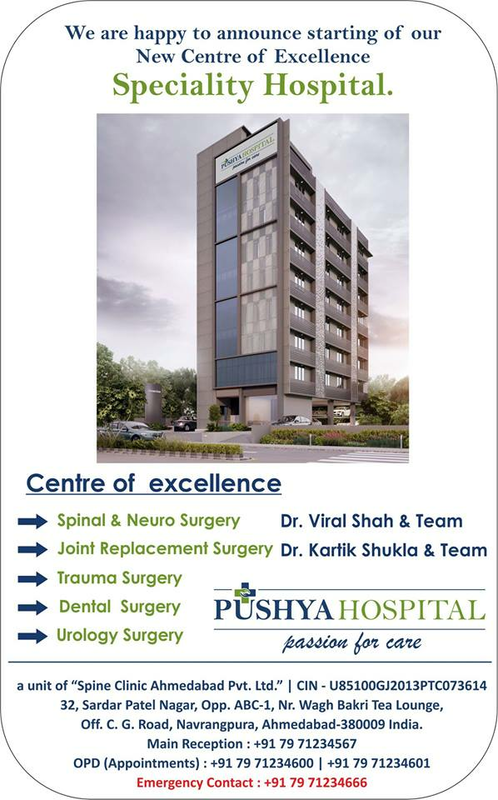 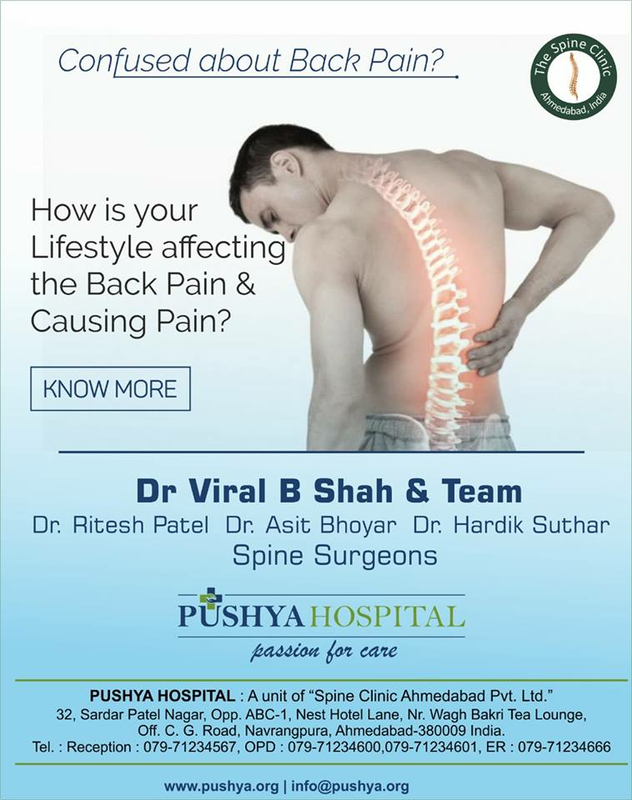 Spinal care treatments have also evolved and Pushya Hospital keeps up the pace with the latest technologies and treatment methodologies. 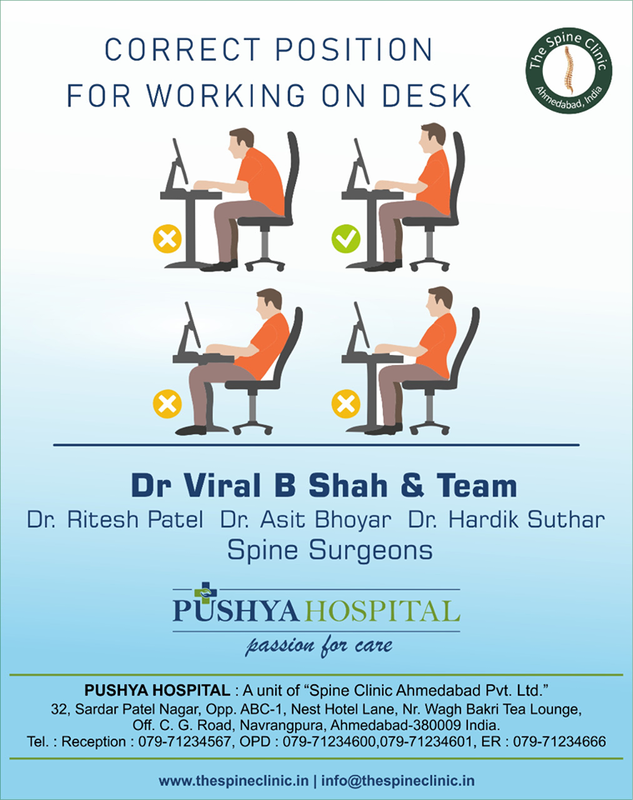 Do you suffer neck and back strain after sitting for long hours at desk? 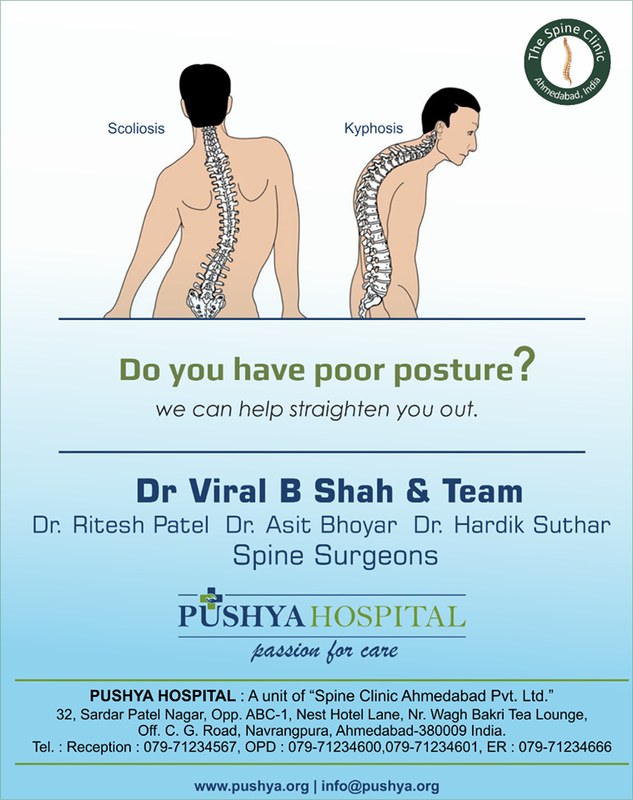 Do you know just by correct posture, you can reduce your back strain and maintain healthy spine. 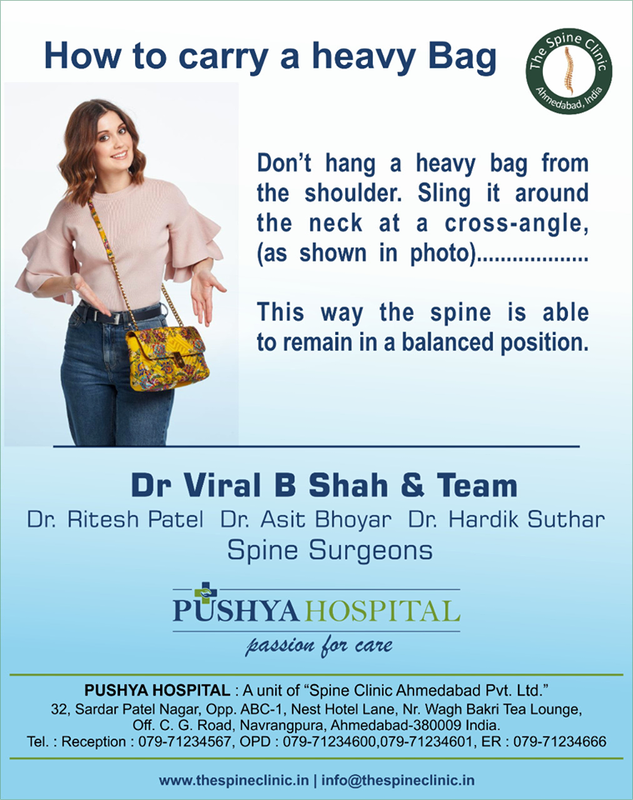 Learn how to carry a heavy bag without hurting your back. 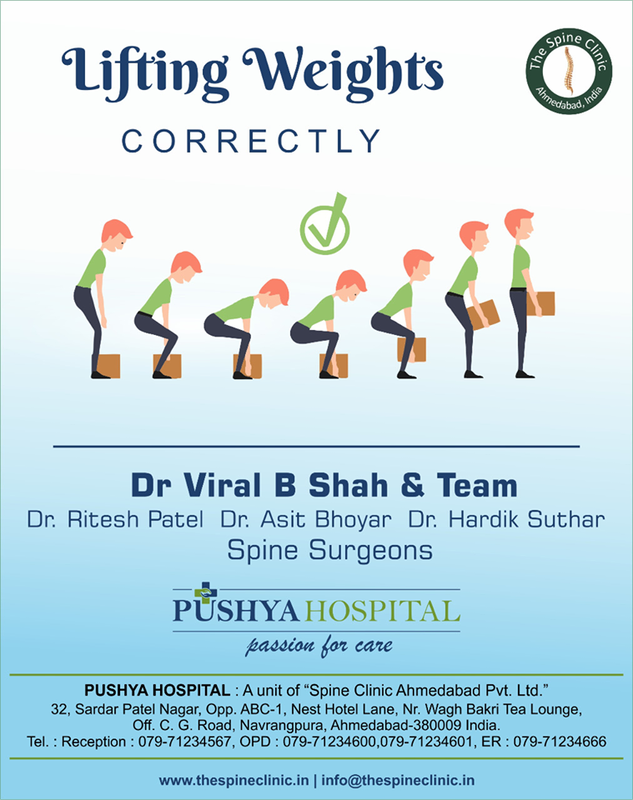 Ideally, try to reduce bag weight but if not possible it is best to distribute the weight across the body and avoid the wrong body posture. 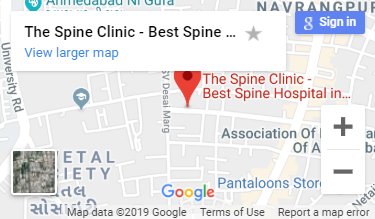 Follow Facebook.com/thespineclinicofficial for regular healthy back updates. 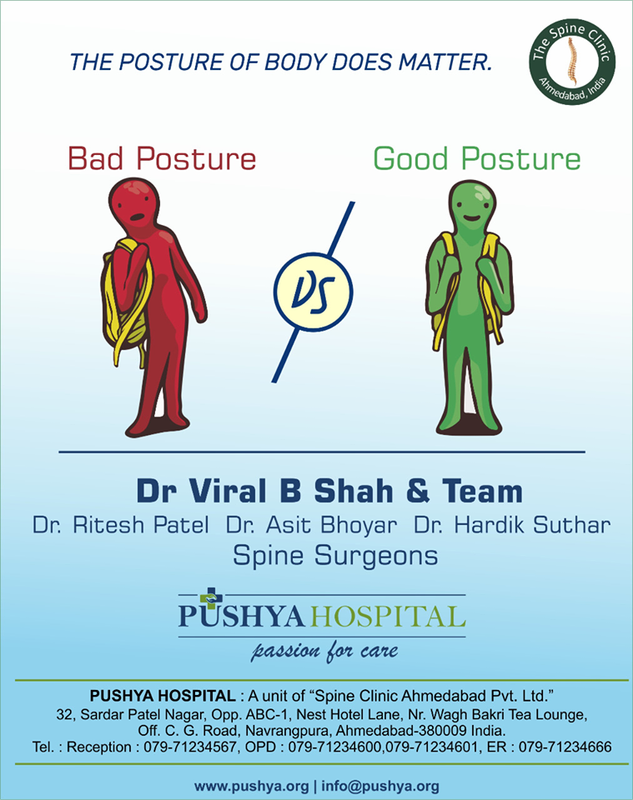 Following the right posture techniques for lifting heavy weights helps a long way in reducing the back strain. 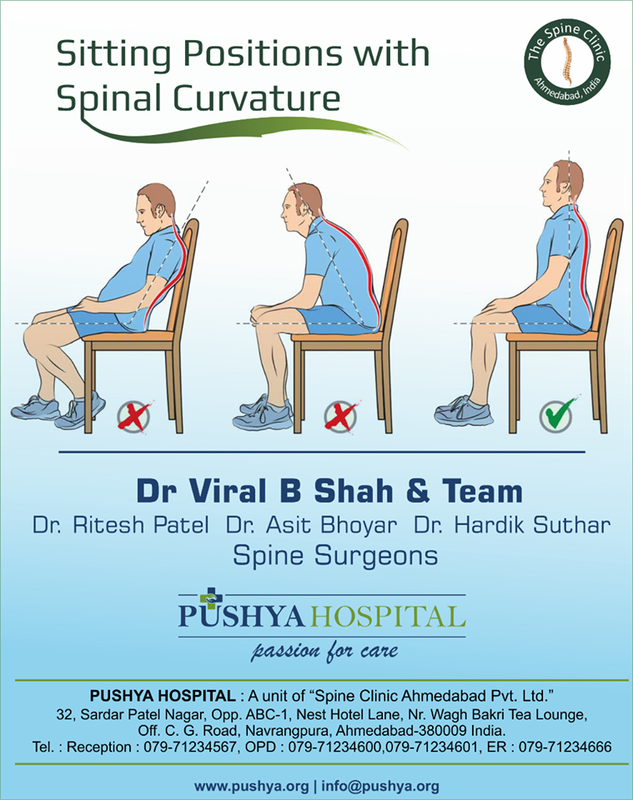 For regular health tips, follow www.facebook.com/spineclinicofficial #preventbacktrauma #curebackpain #ahmedabad — with Asit Bhoyar, Hardik Suthar, Kalpesh Parmar and Ritesh Patel. 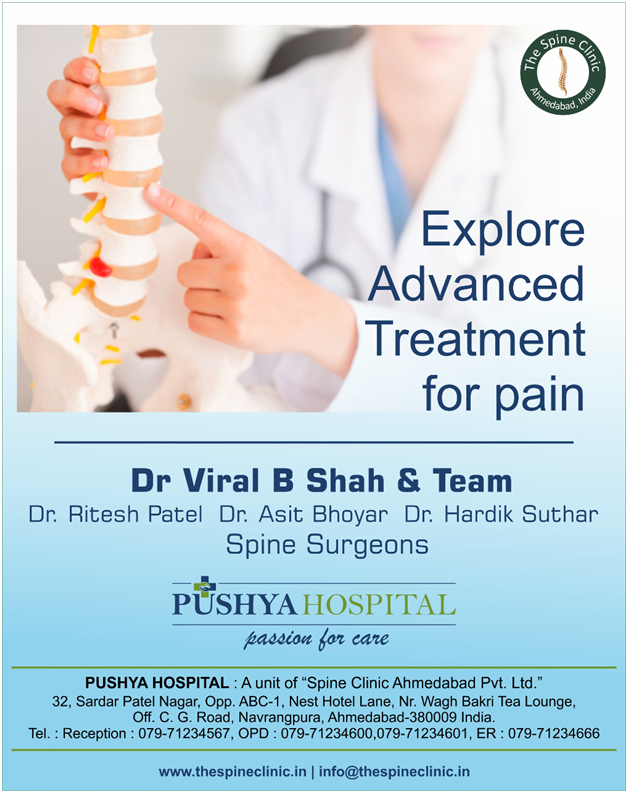 We do not just treat your pain, we explore too advanced treatment procedures so that we could provide effective pain treatment which suits you the best. 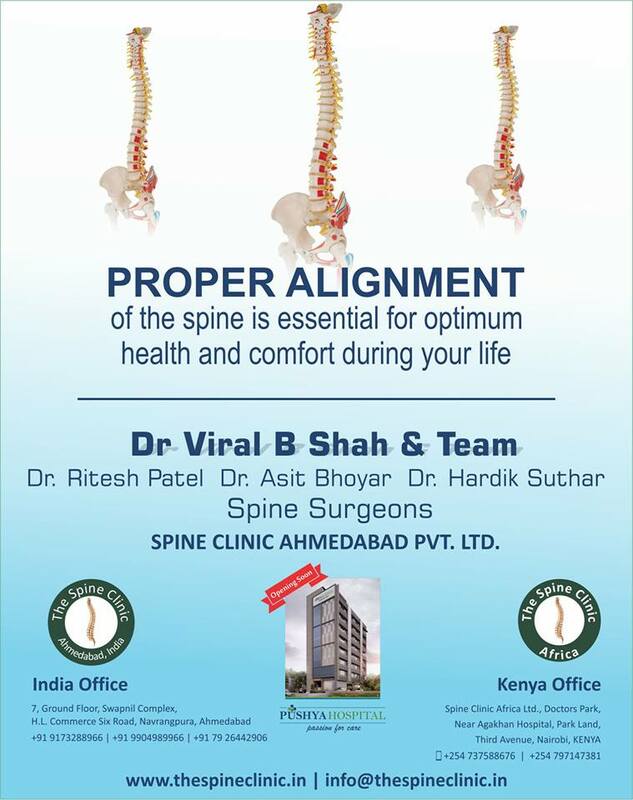 Explore your suitable treatment with us at Spine Clinic. 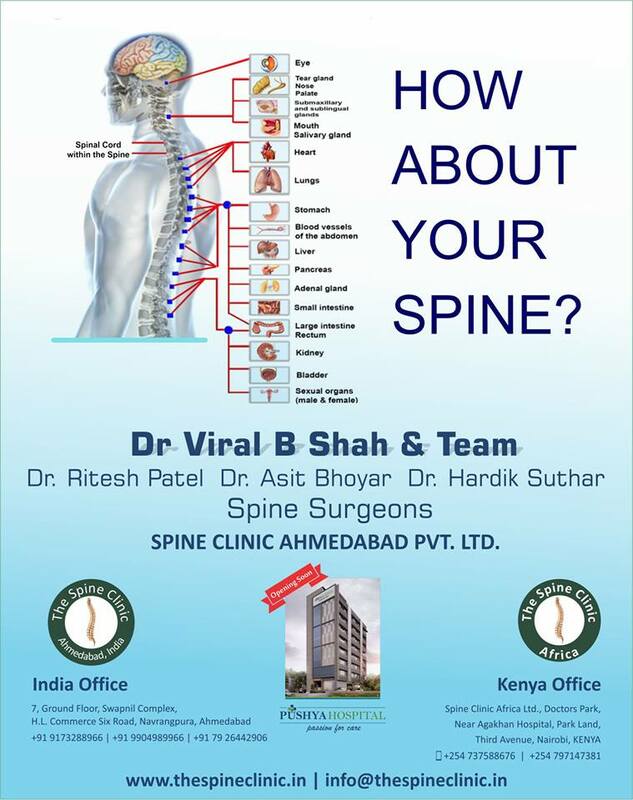 Visit- The Spine Clinic at Navarangpura, Ahmdabaad. 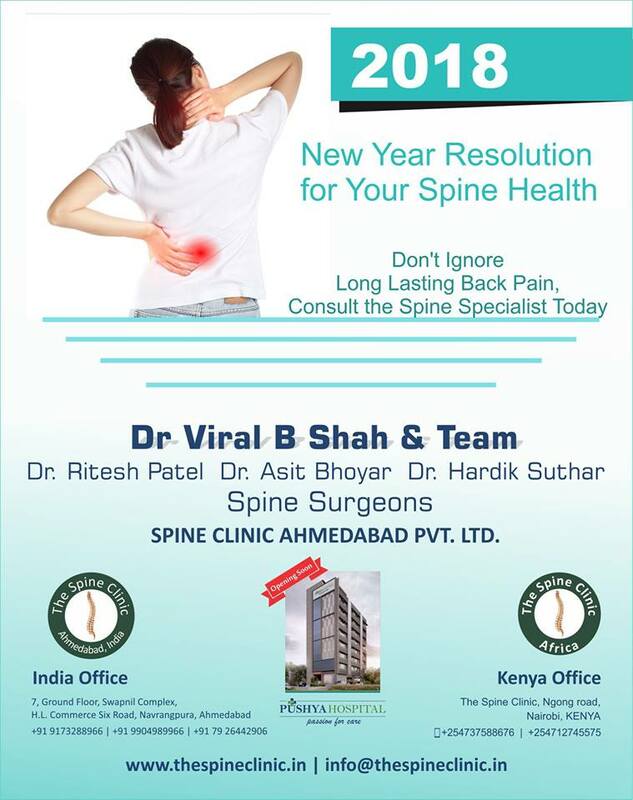 Log on to: www.thespineclinic.in. 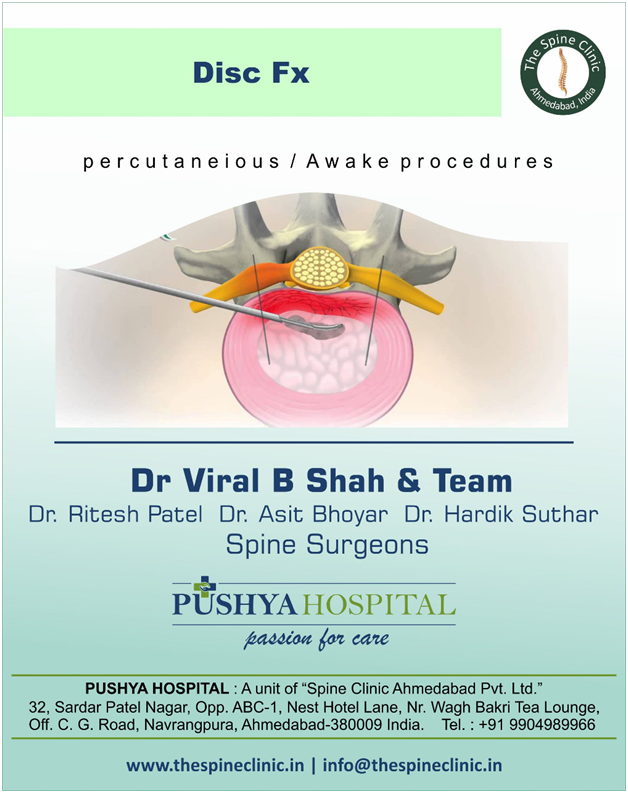 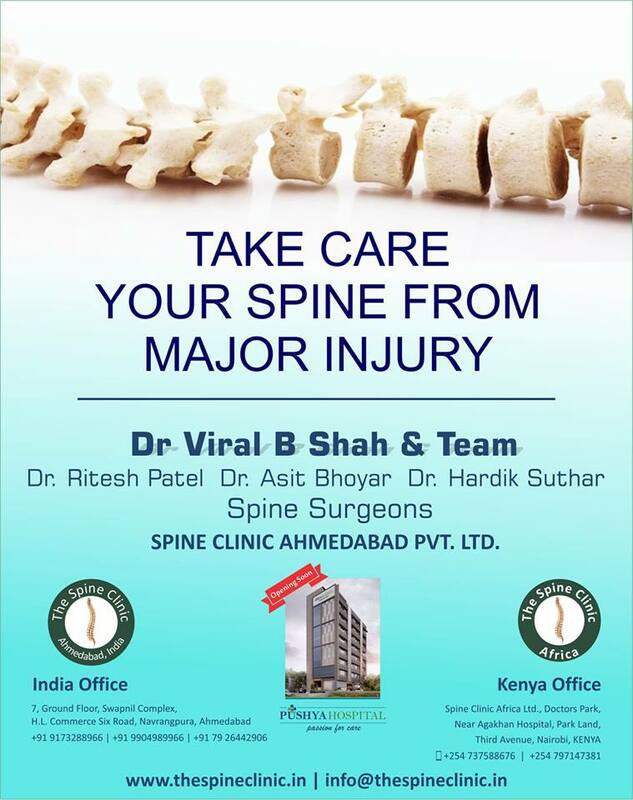 #thespineclinic #ahmedabad #spineinjuries — with Asit Bhoyar, Hardik Suthar, Kalpesh Parmar and Ritesh Patel. 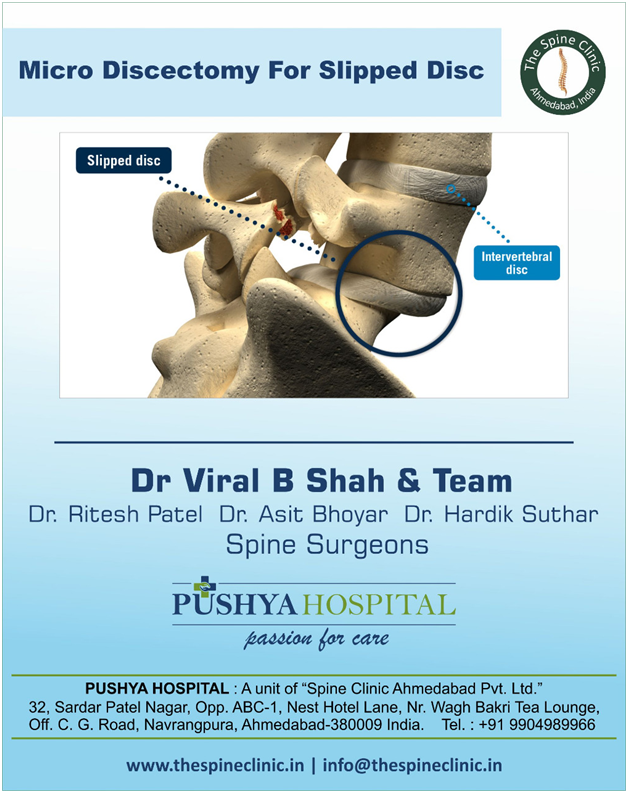 Spine demands accurate diagnostic for pain, it is a combination of 33 bones so it needs a specific diagnosis. 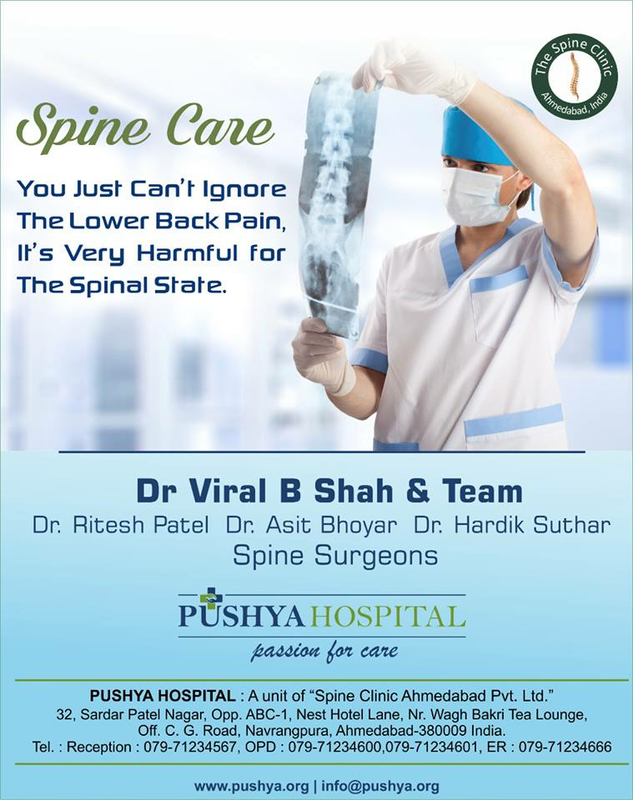 We at Spine Clinic understand the value of proper diagnosis so that correct treatment could be initiated and we could create patient’s happiness and convenience. 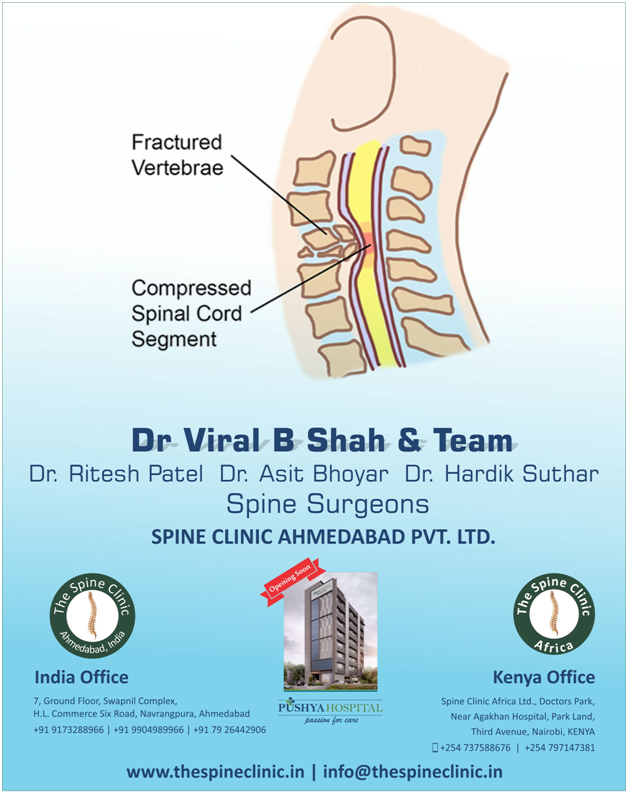 Visit The Spine Clinic at Navarangpura, Ahmdabaad. 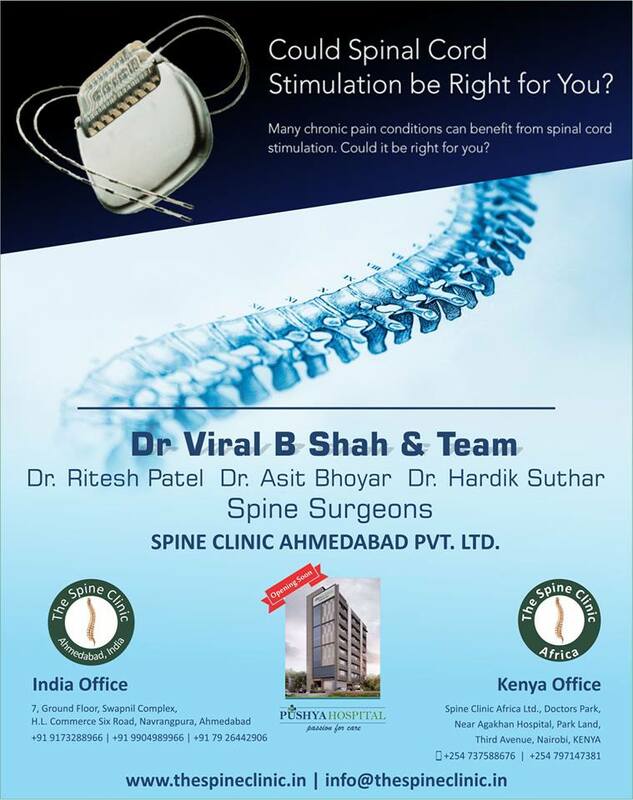 Log on to: www.thespineclinic.in. 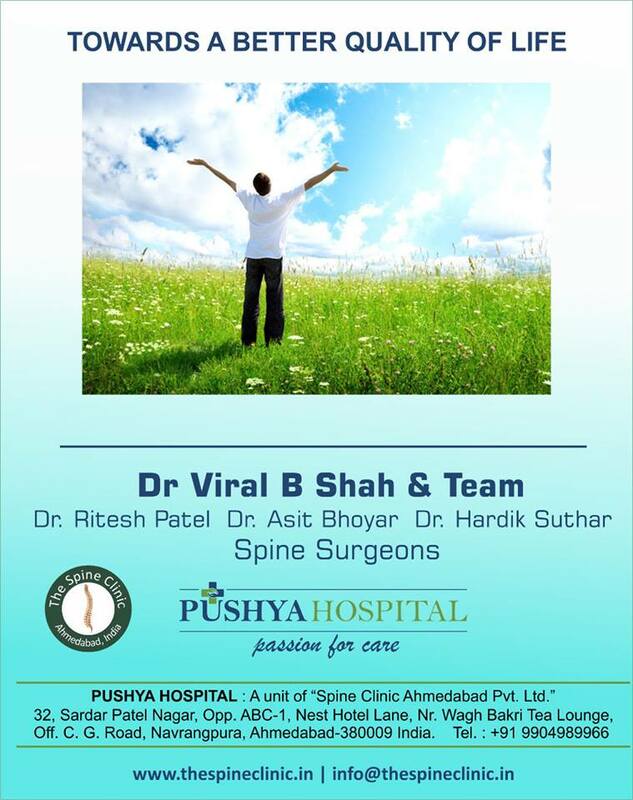 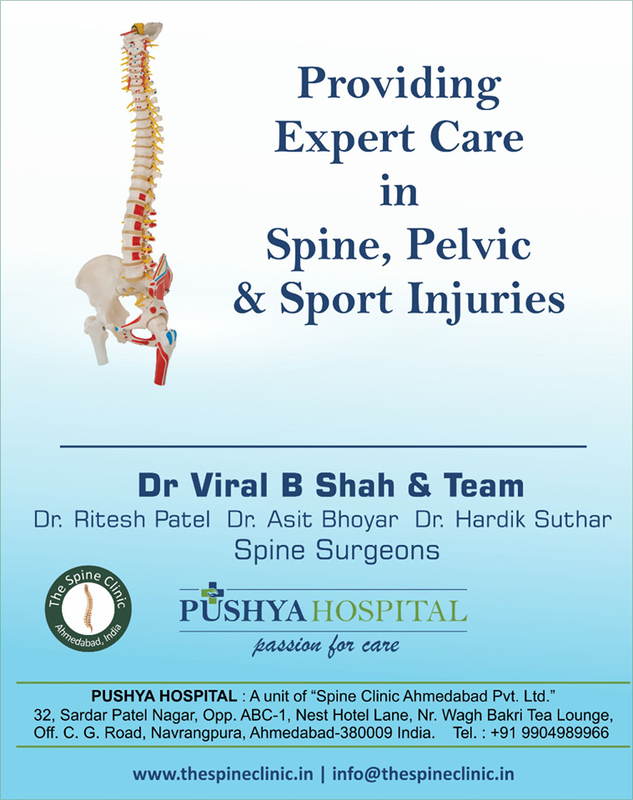 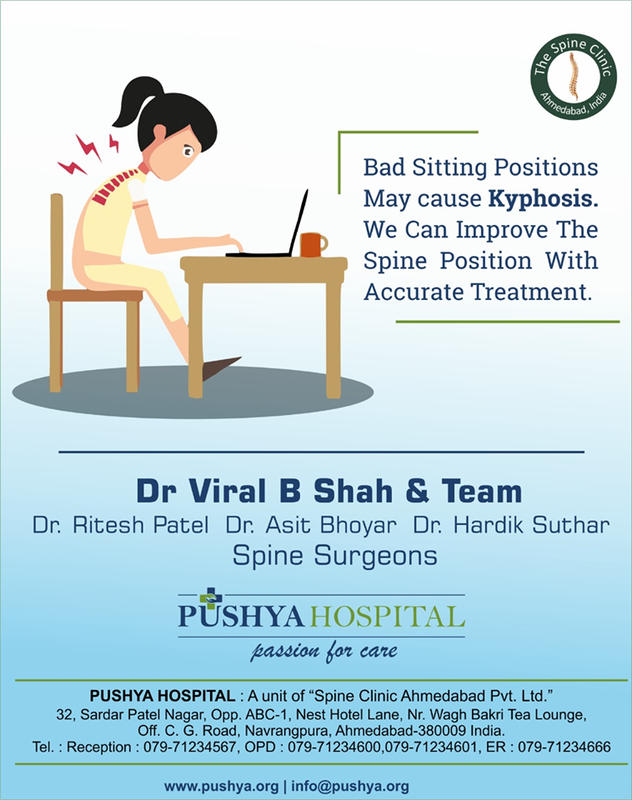 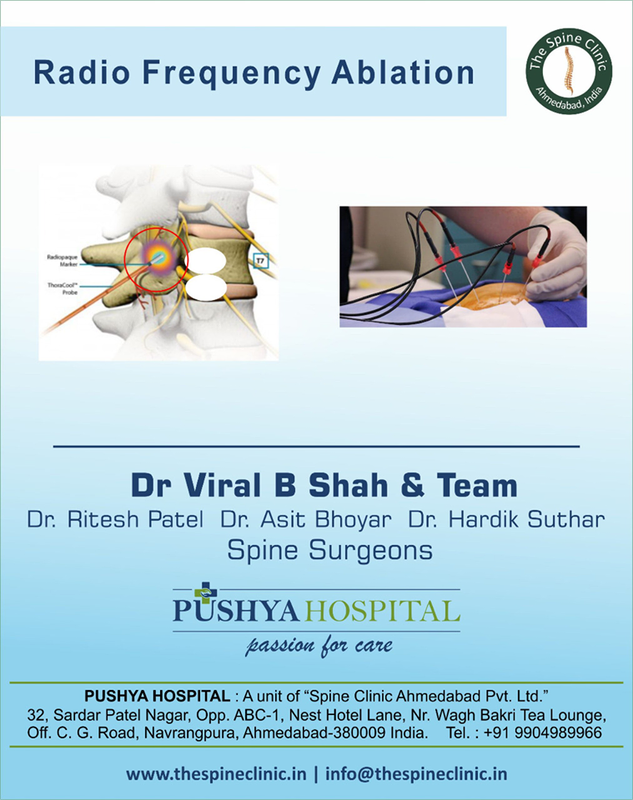 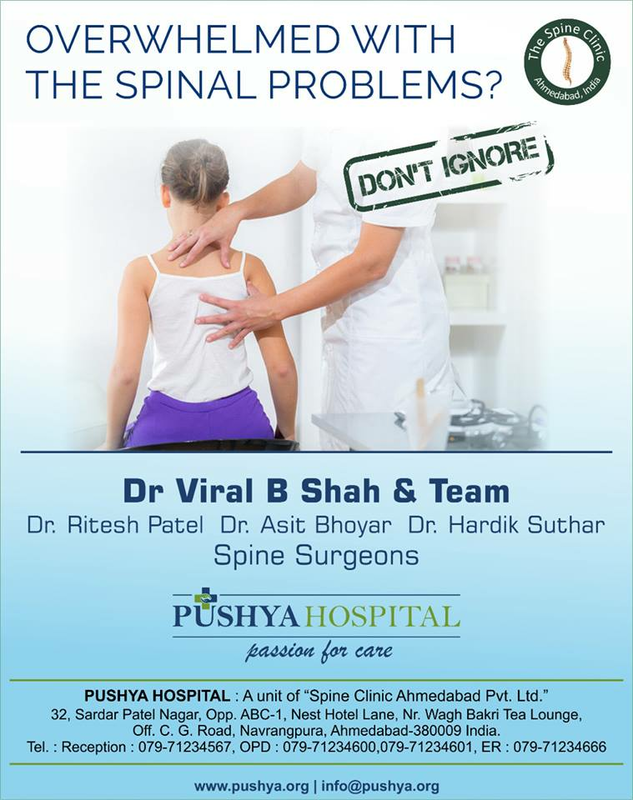 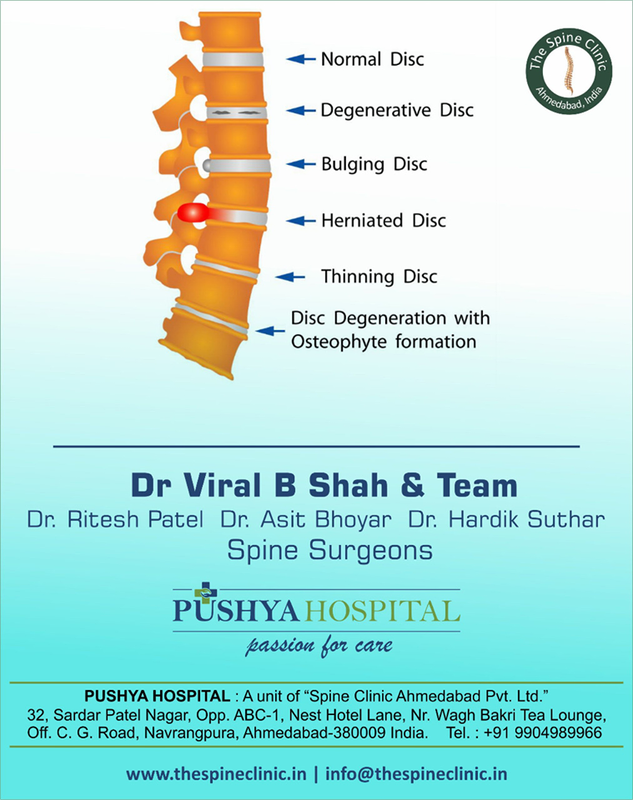 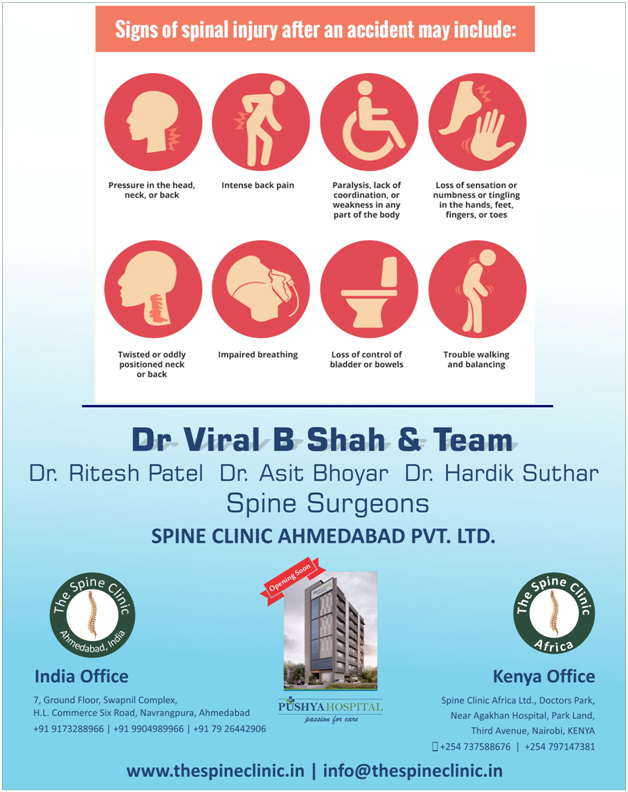 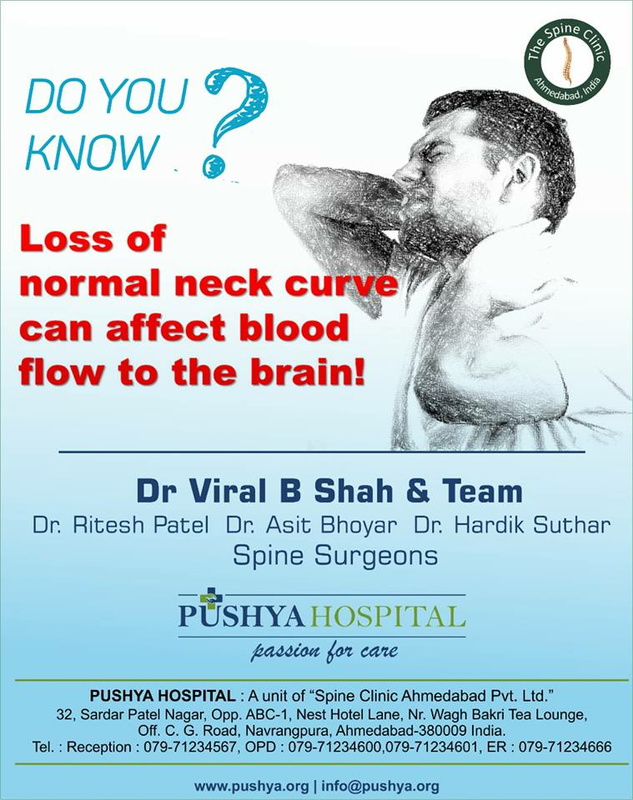 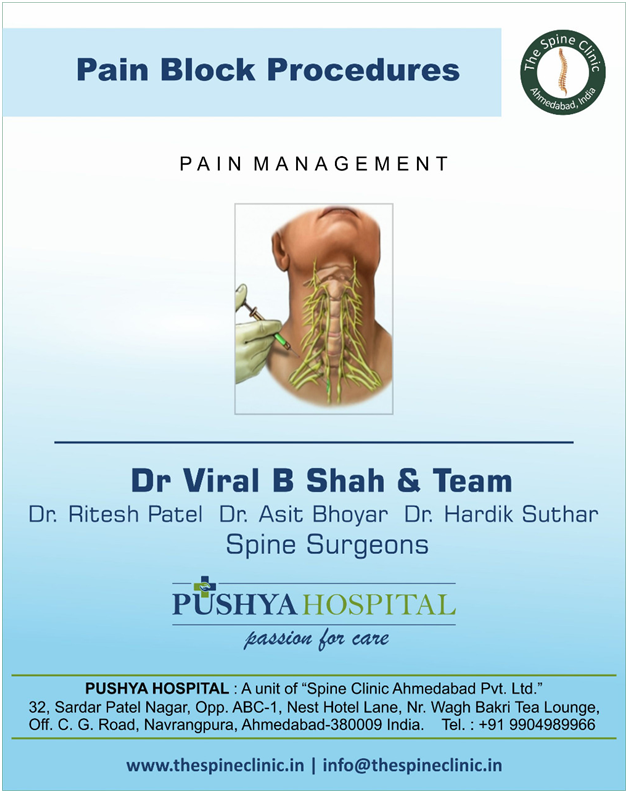 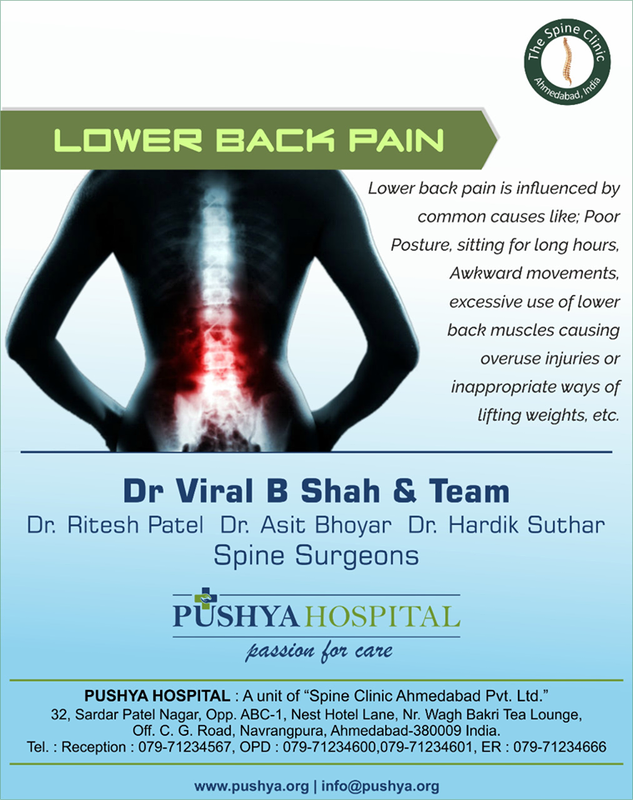 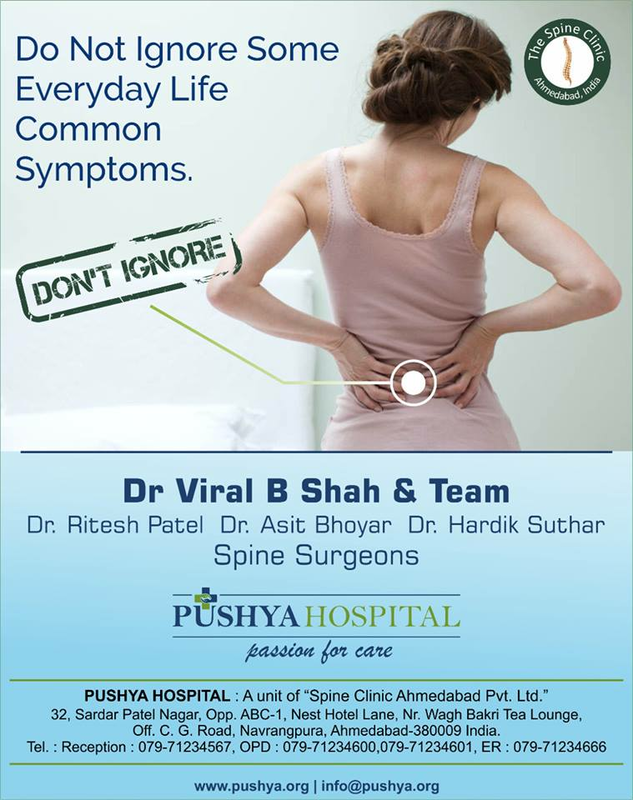 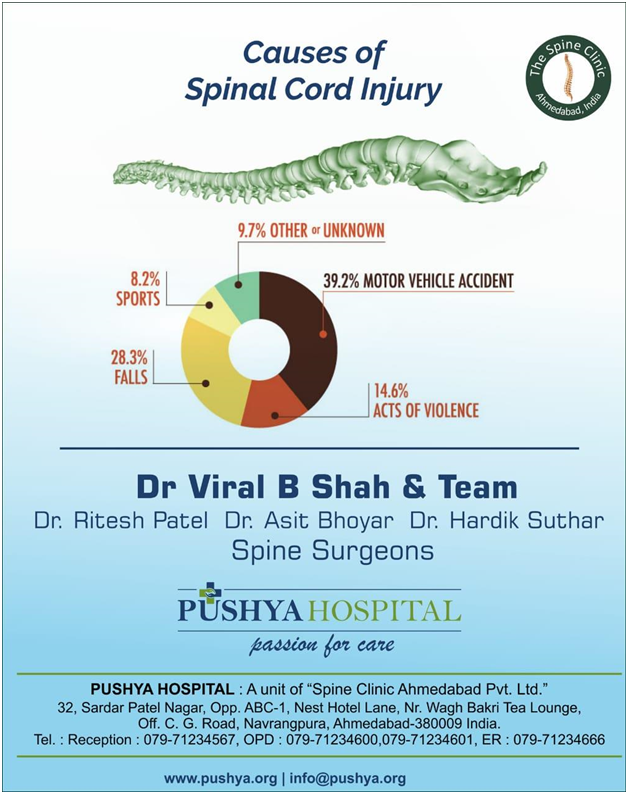 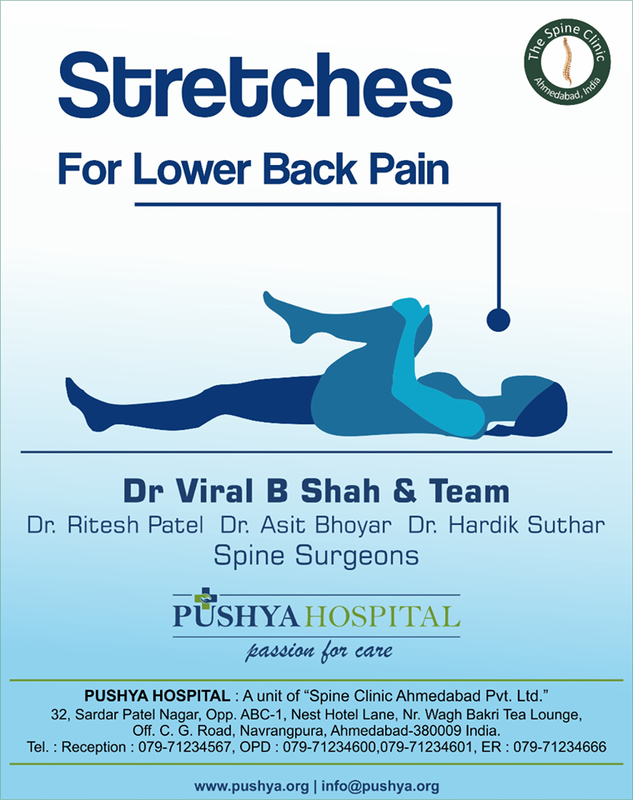 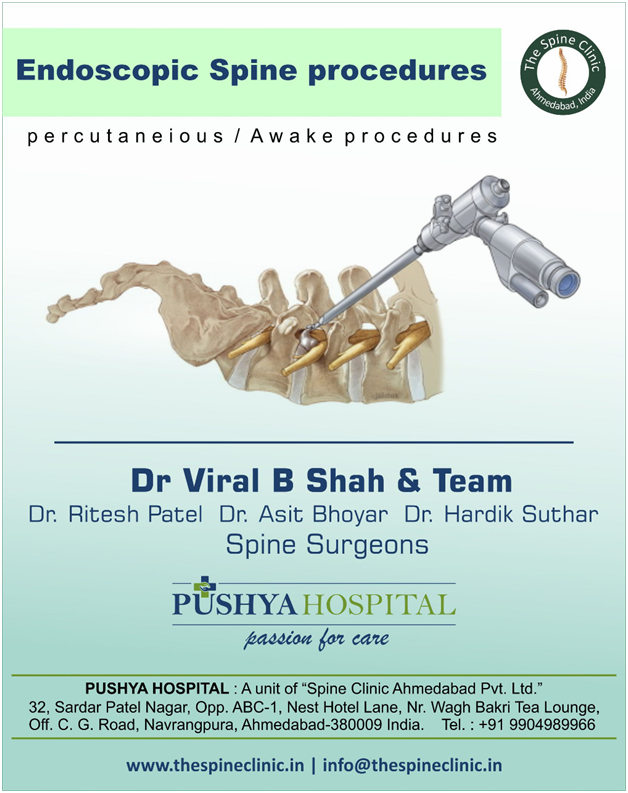 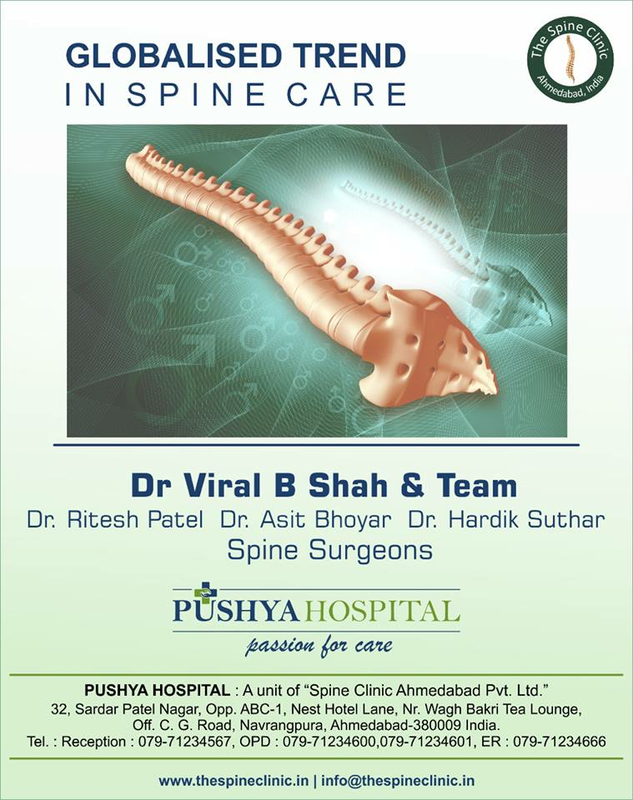 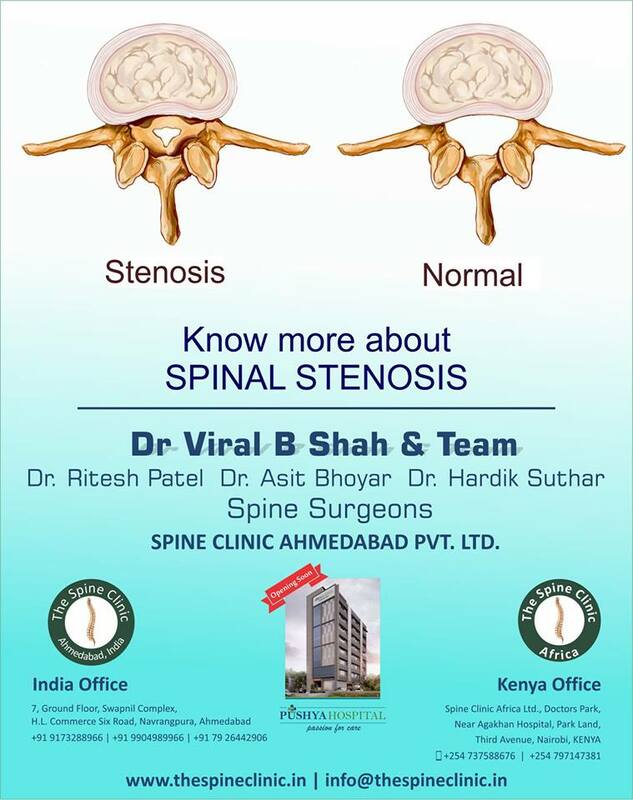 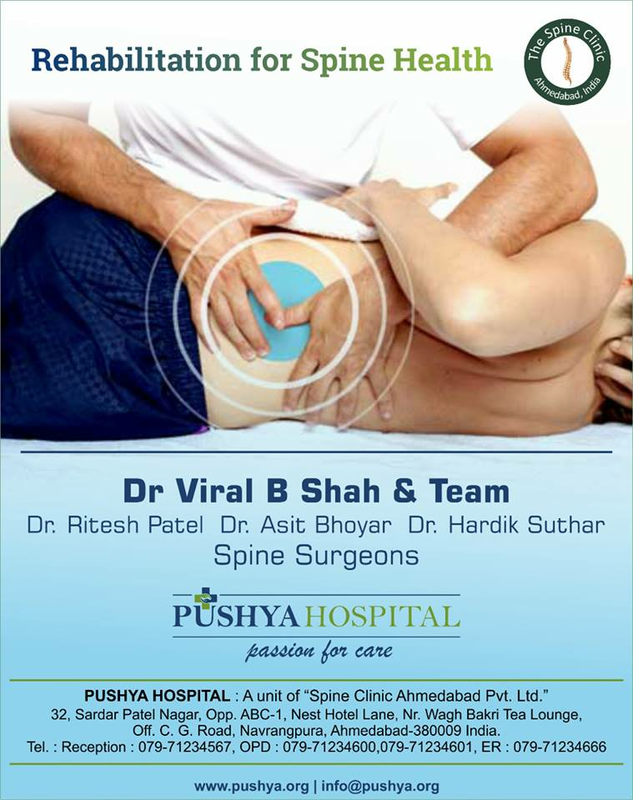 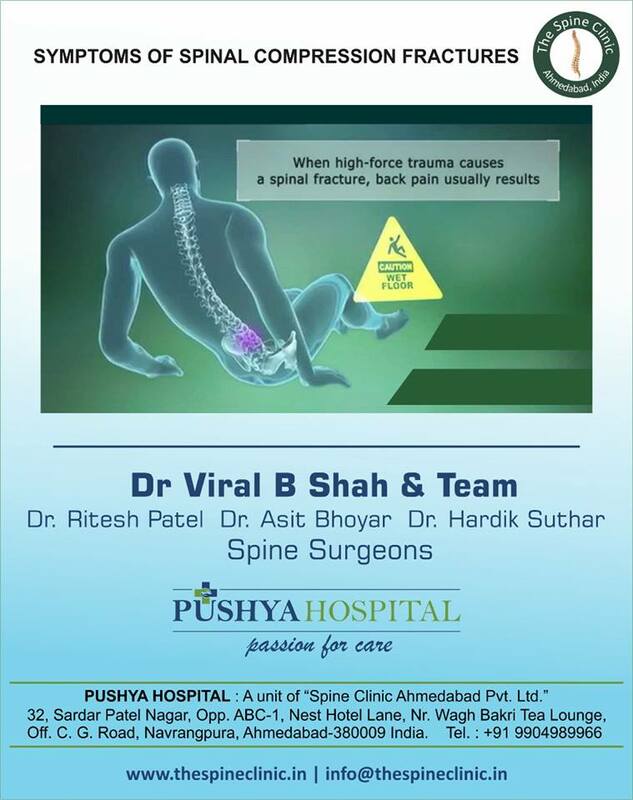 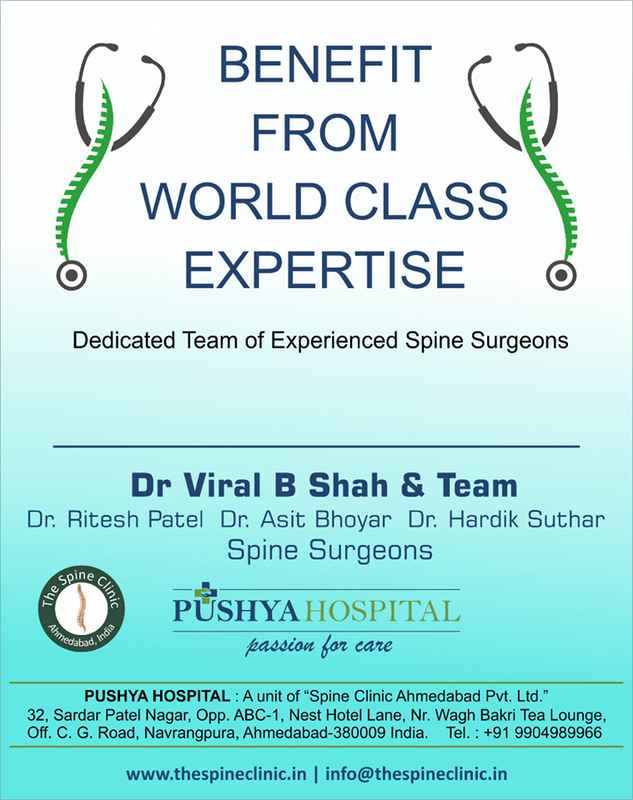 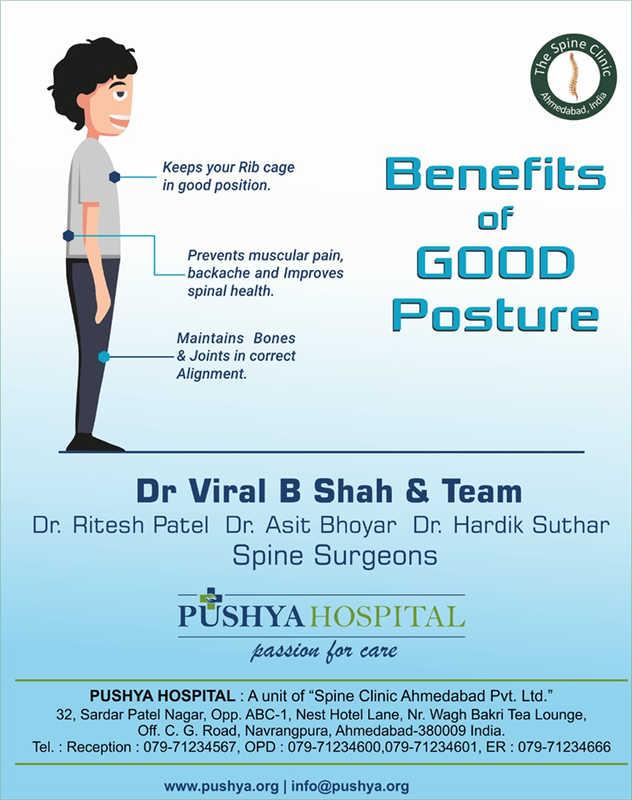 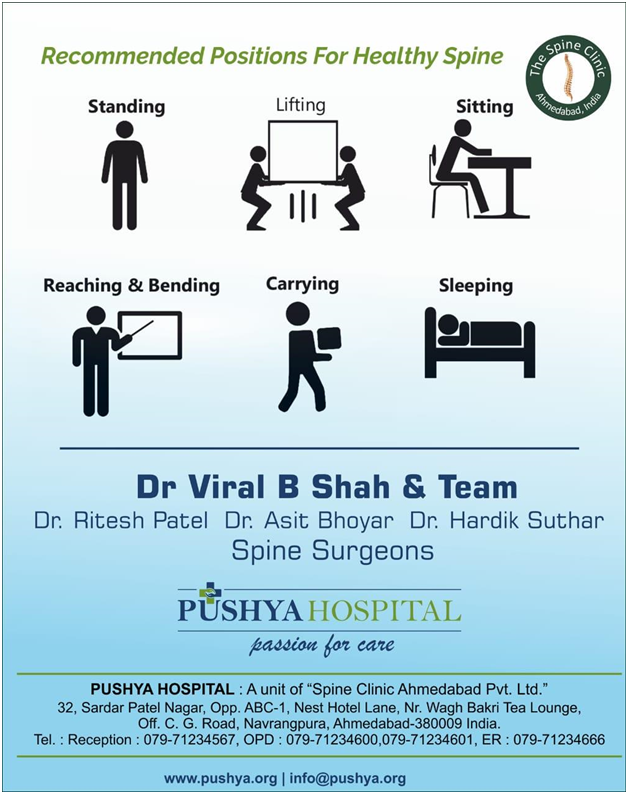 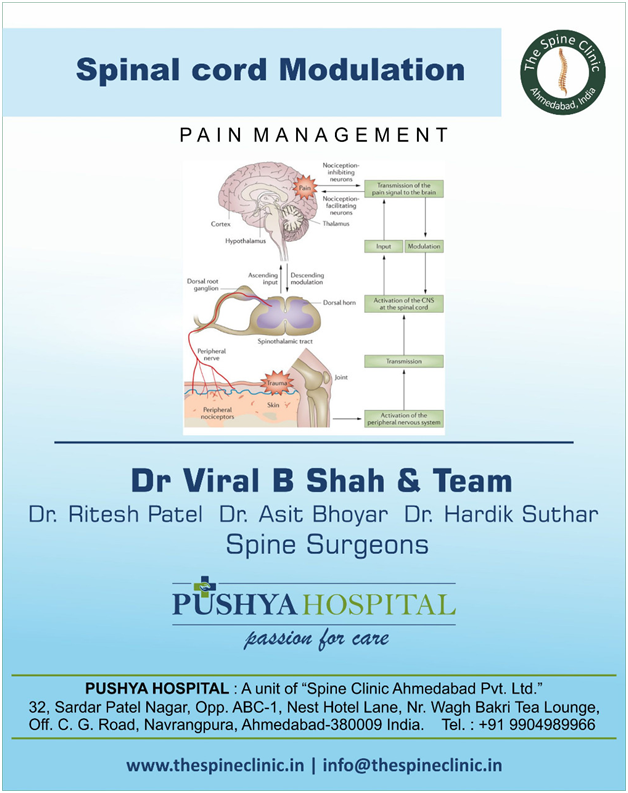 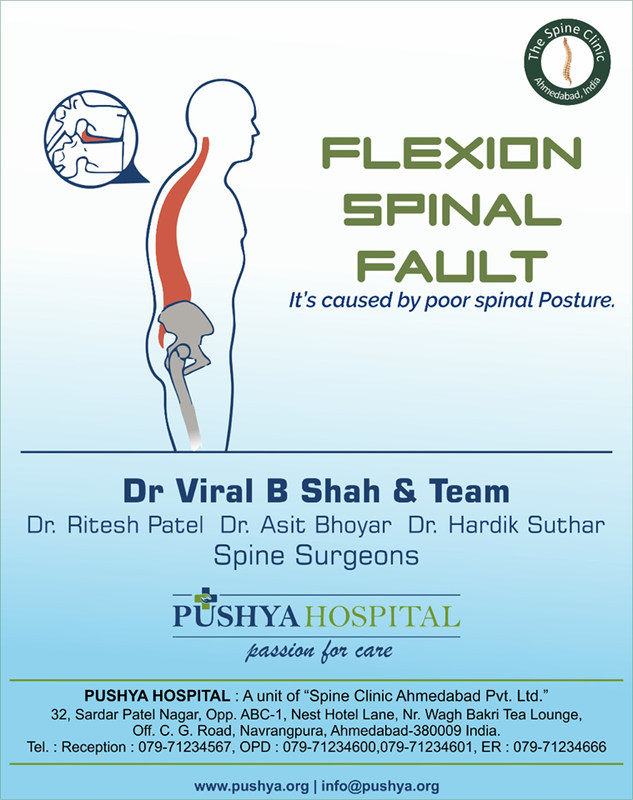 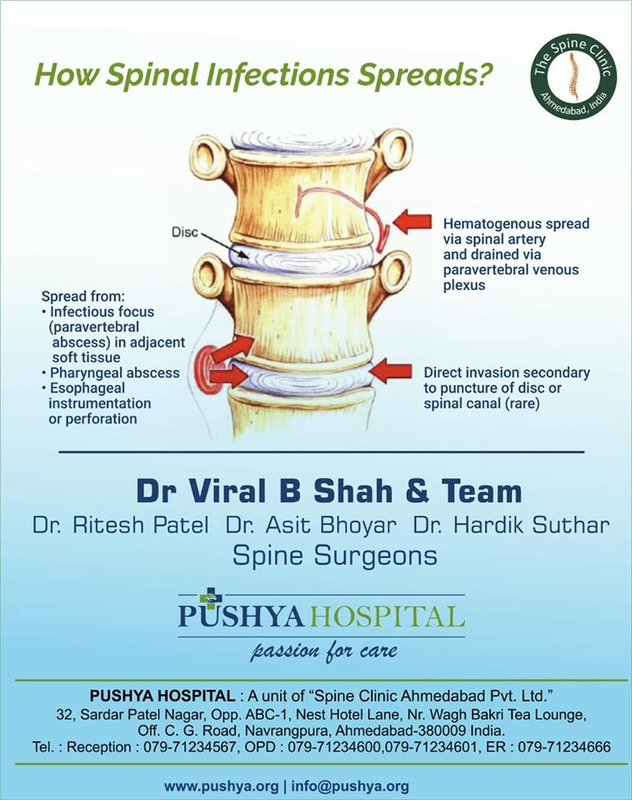 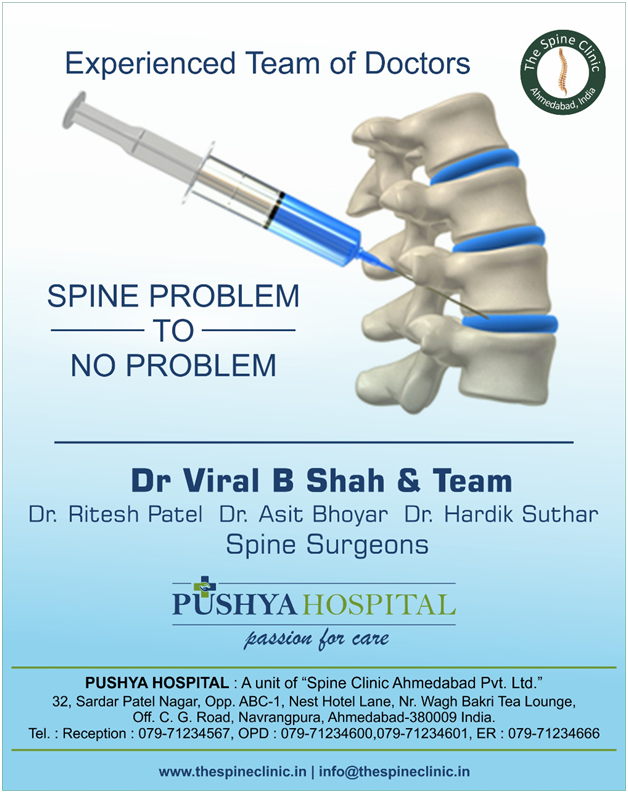 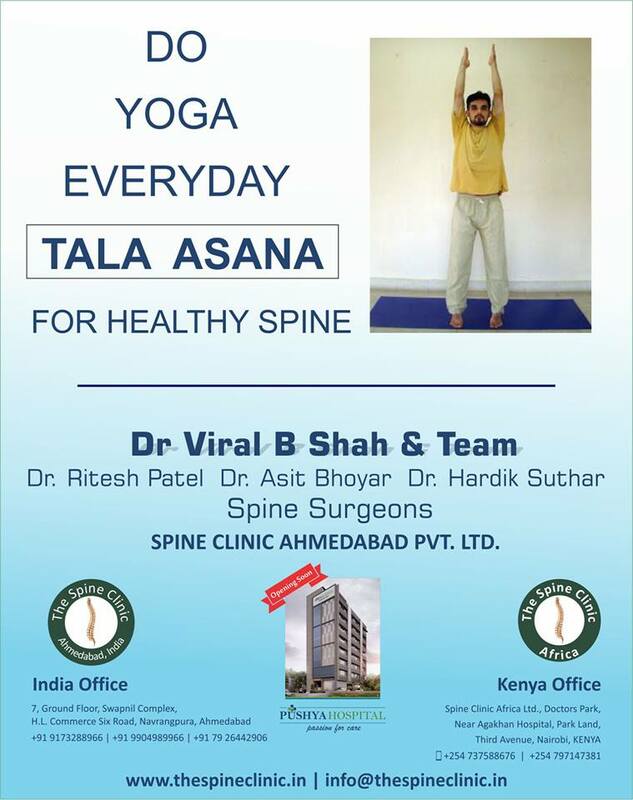 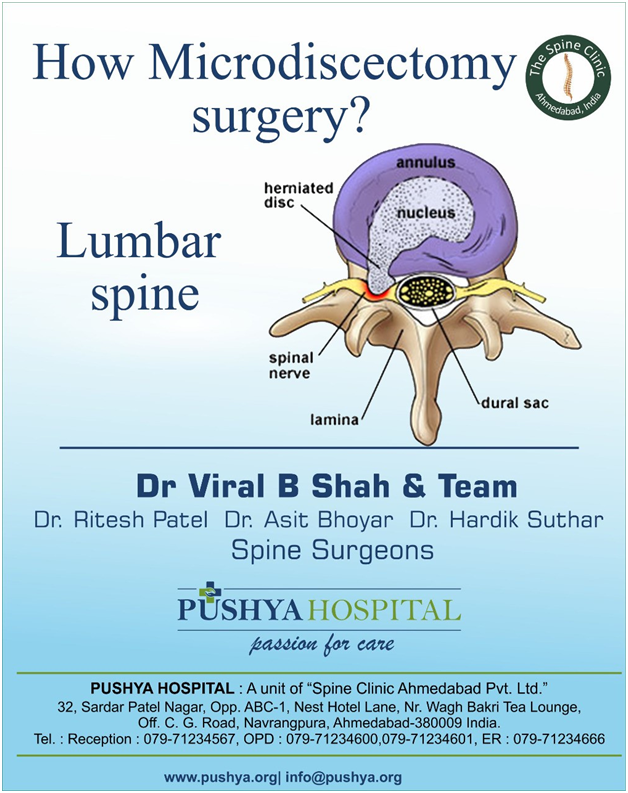 #thespineclinic #ahmedabad #spineinjuries #spinediagnosis — with Viral Shah, Asit Bhoyar, Hardik Suthar, Kalpesh Parmar and Ritesh Patel. 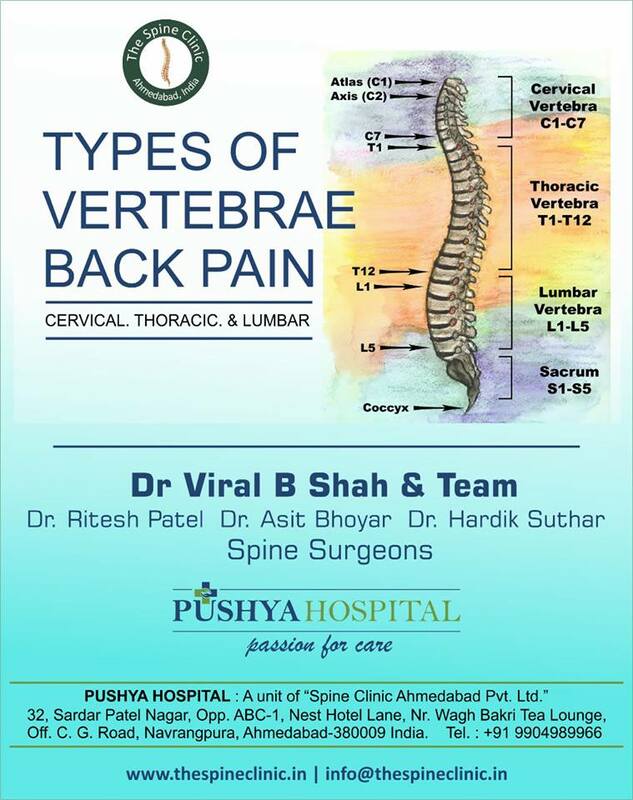 How the spine is numbered? 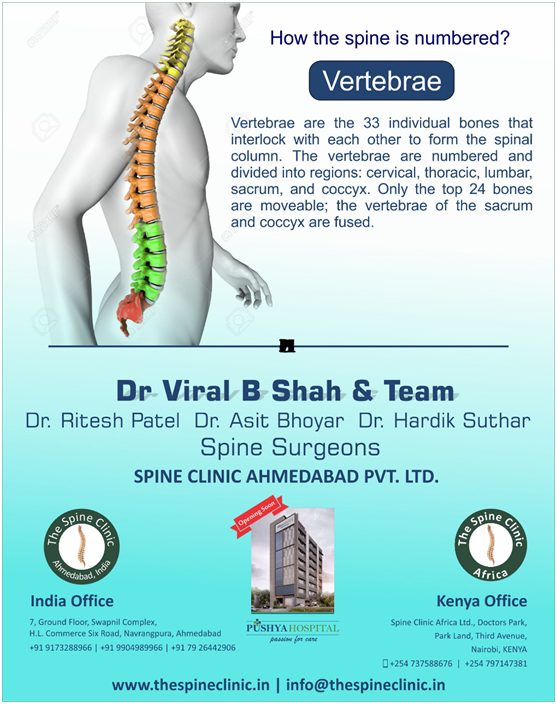 Vertebrae are the 33 individual bones that interlock with each other to form the spinal column. 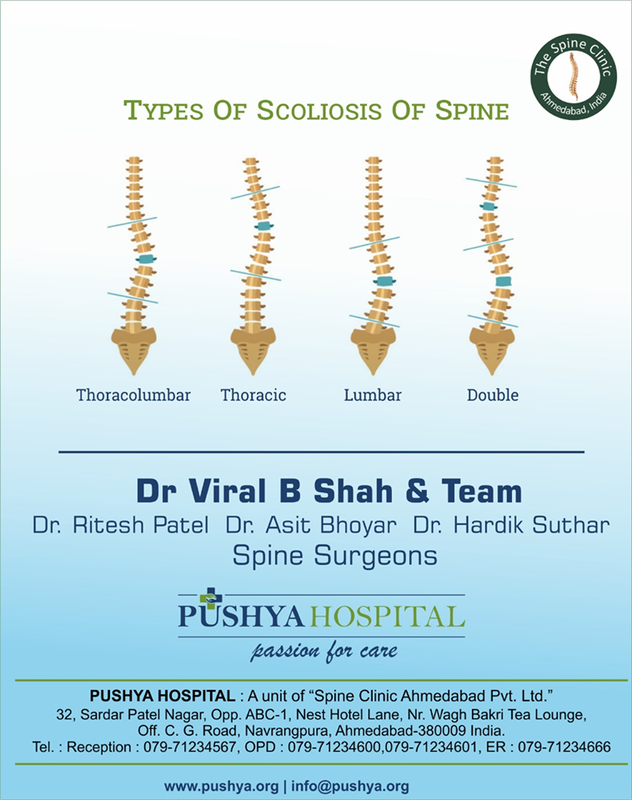 The vertebrae are numbered and divided into regions: cervical, thoracic, lumbar, sacrum, and coccyx. 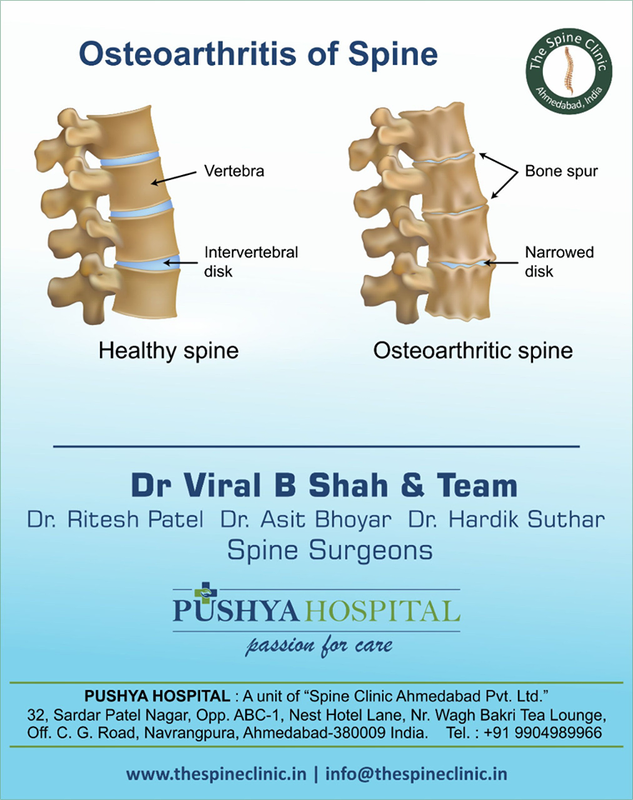 The spine is numbered in a specific manner. 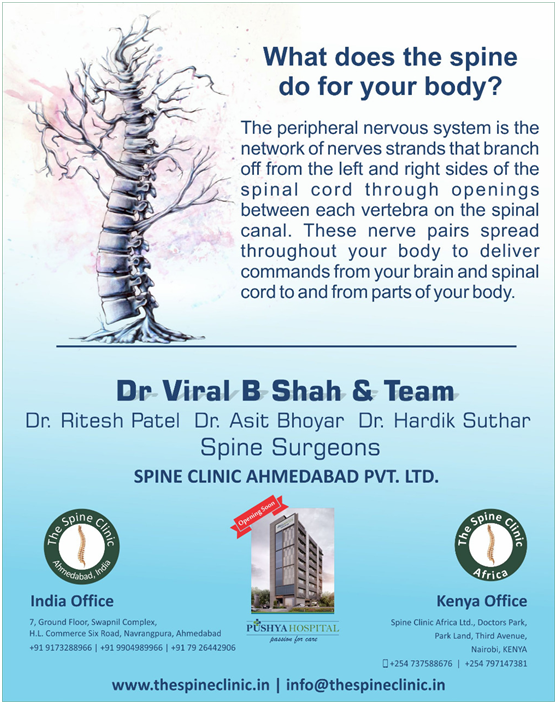 There are several vertebrae in the spinal system. 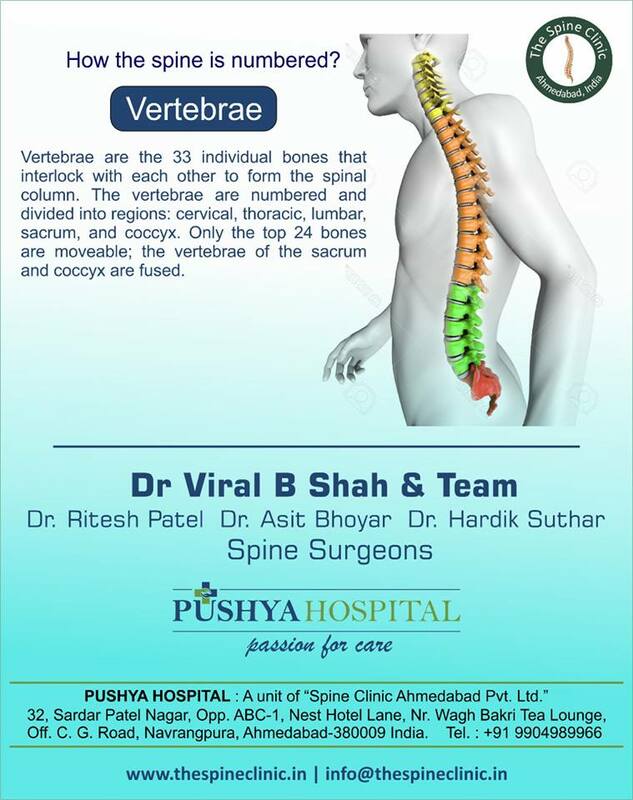 Vertebrae are the 33 individual bones that are interlock with each other to form the spinal column. 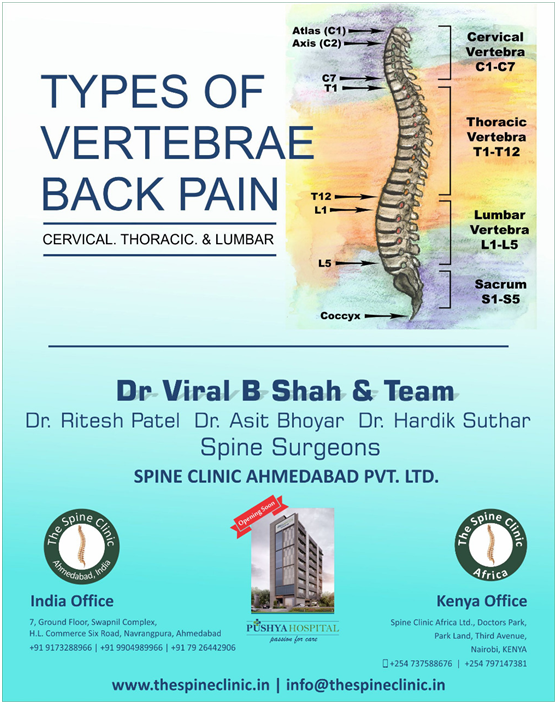 The vertebrae are numbered and divided into regions: Cervical, Thoracic, Lumbar, Coccyx and Sacrum. 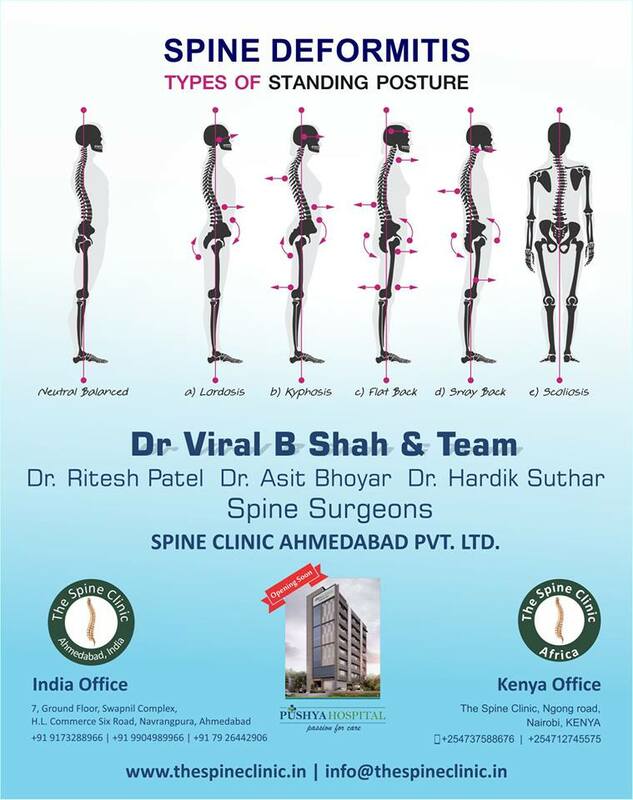 Out of which, only the top 24 bones are moveable. 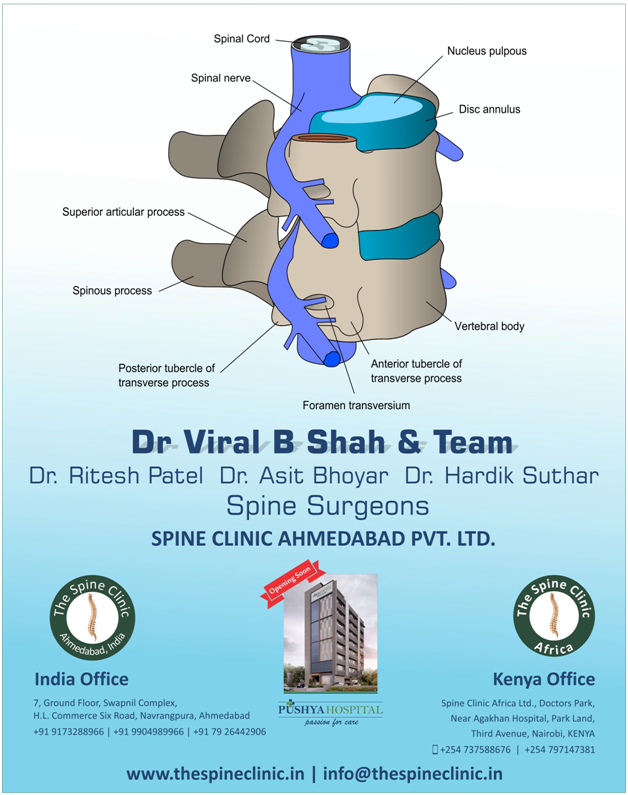 The vertebrae of the sacrum and the coccyx are fused. 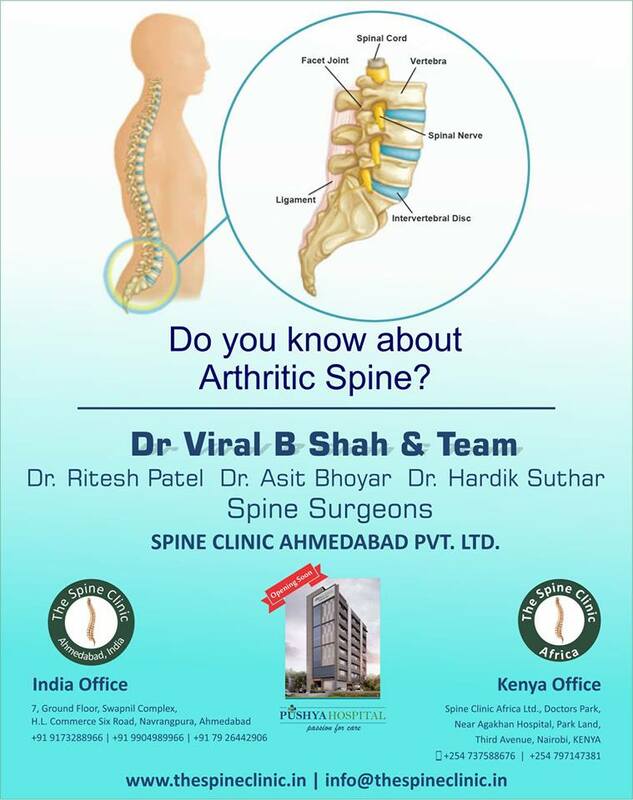 To know more about these facts, visit The Spine Clinic at Ahmedabad or log on to www.thespineclinic.in for more updates. 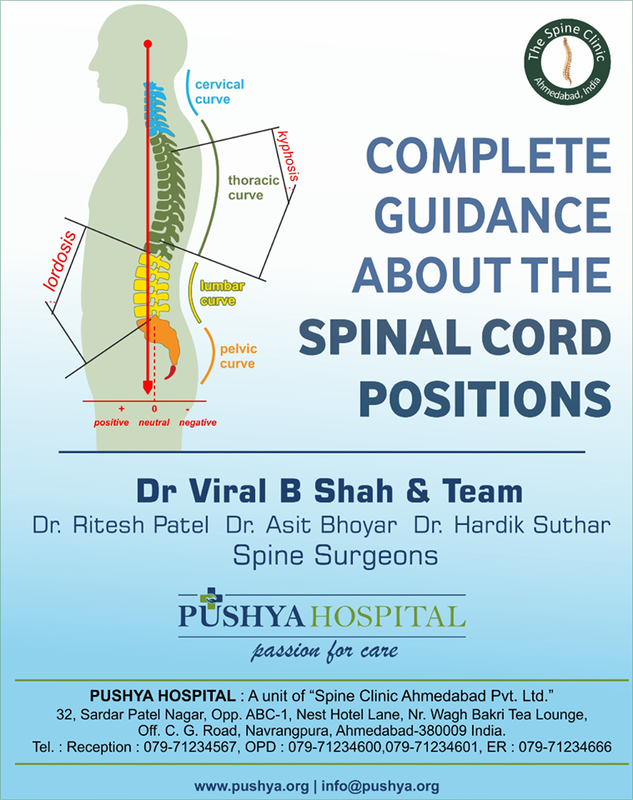 A complete spinal cord lesion is the term used to describe damage to the spinal cord that is absolute. 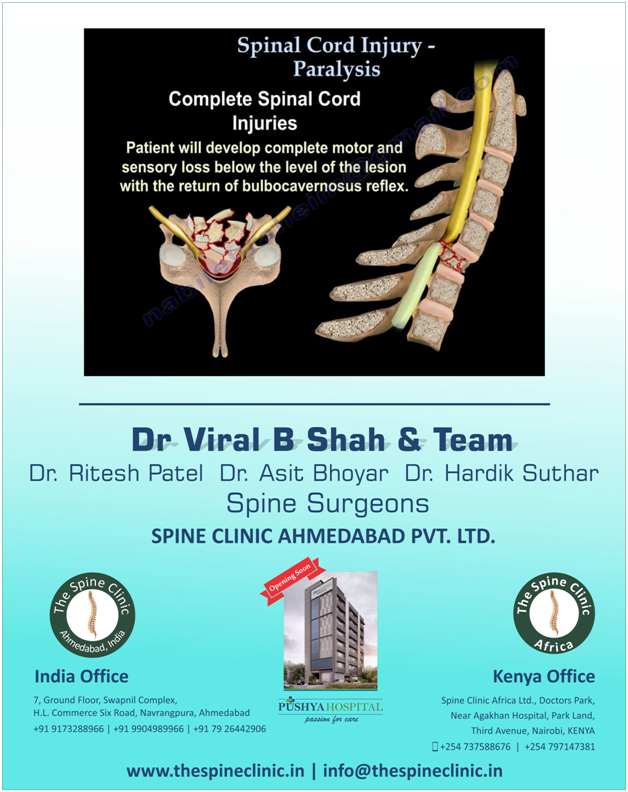 It causes complete and permanent loss of ability to send sensory and motor nerve impulses and, therefore, complete and usually permanent loss of function below the level of the injury. 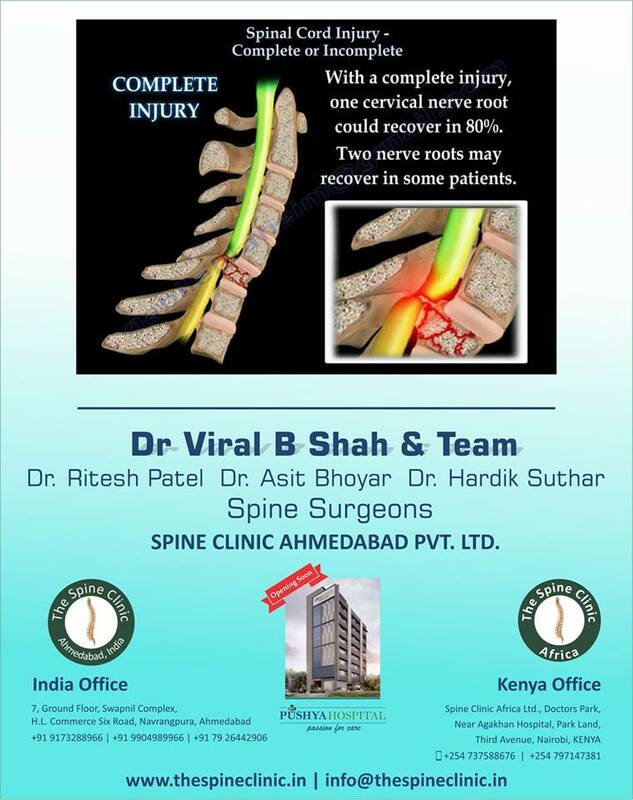 With a complete injury, one cervical nerve root can recover in 80%. 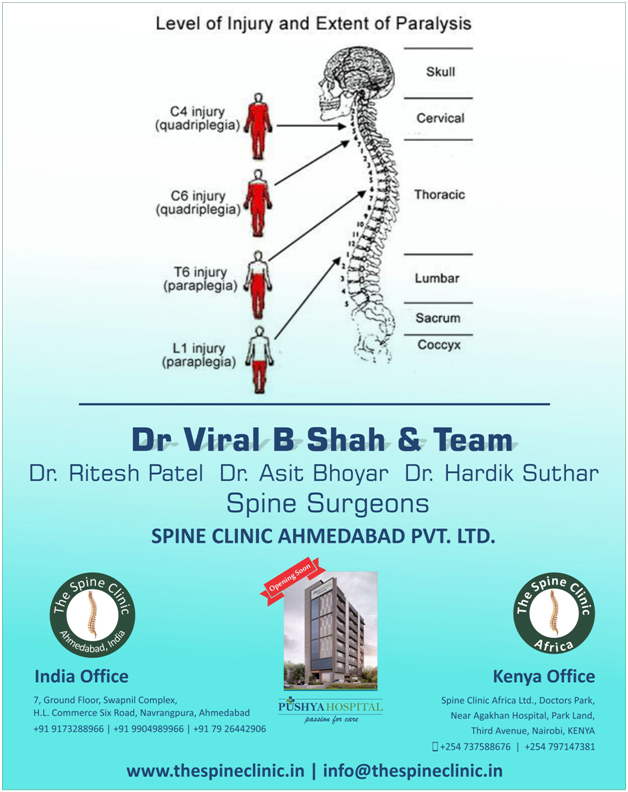 For more detailed information regarding the complete injury of the spine, log on to www.thespineclinic.in .